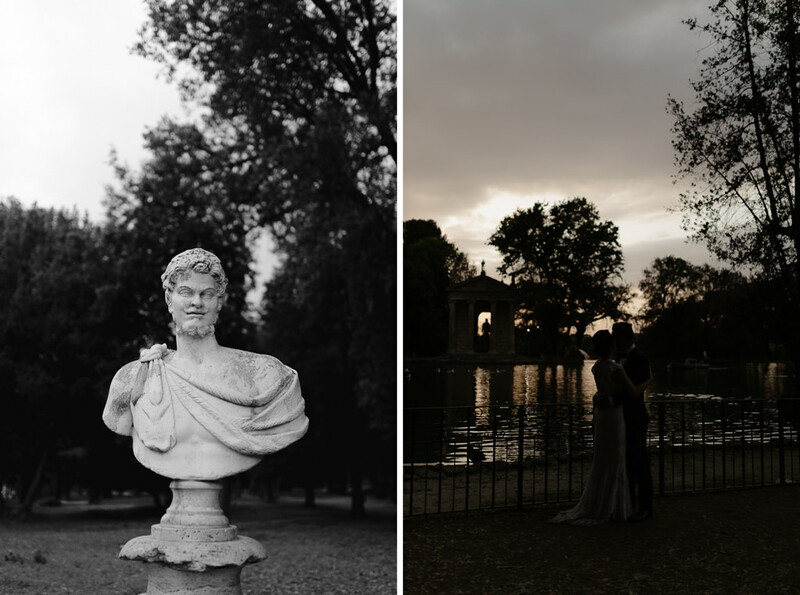 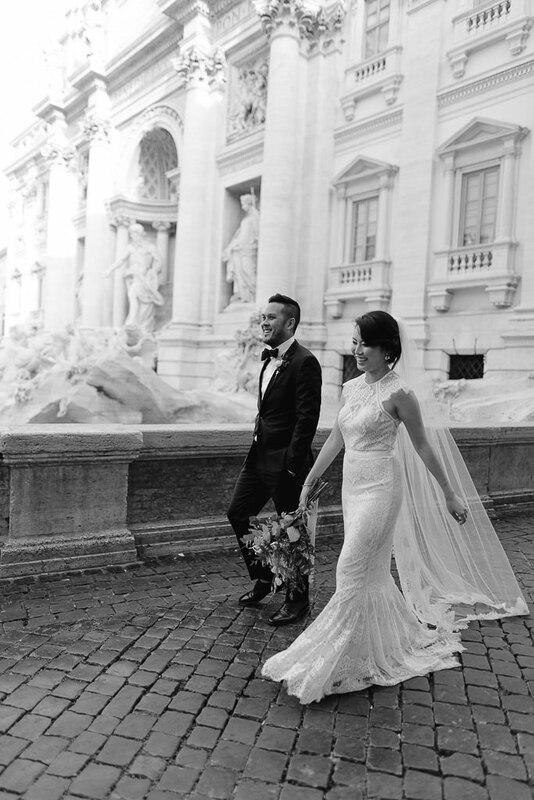 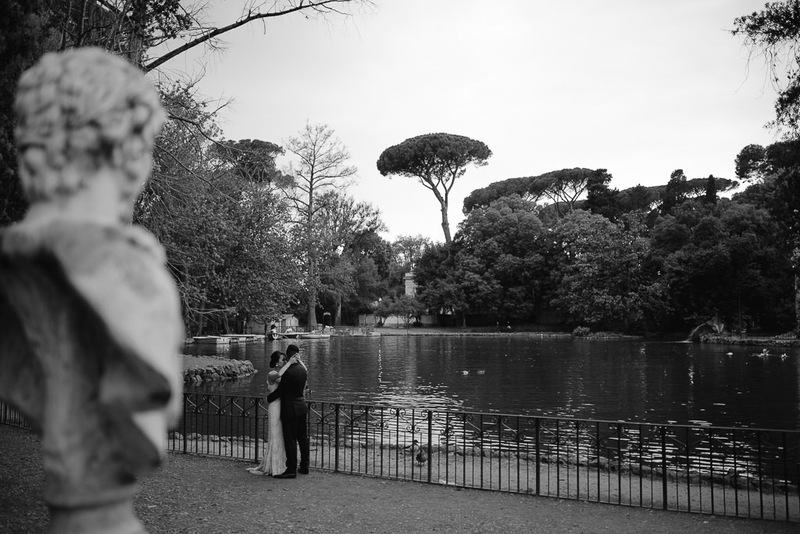 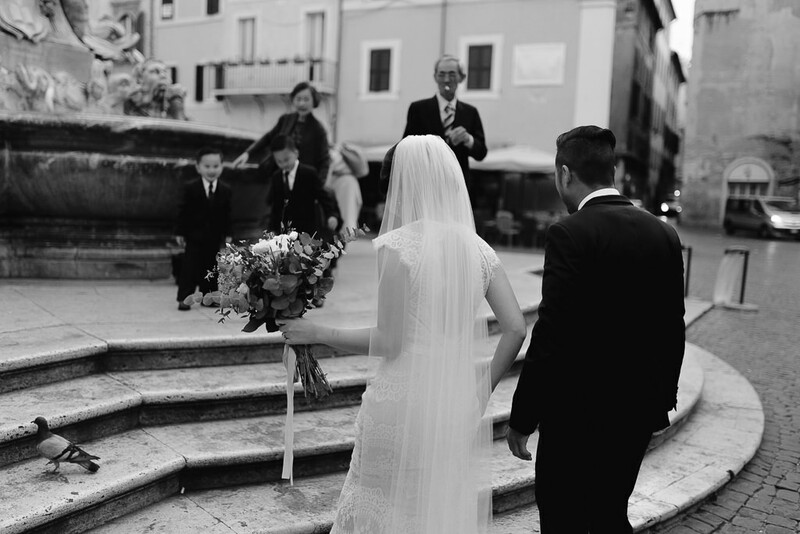 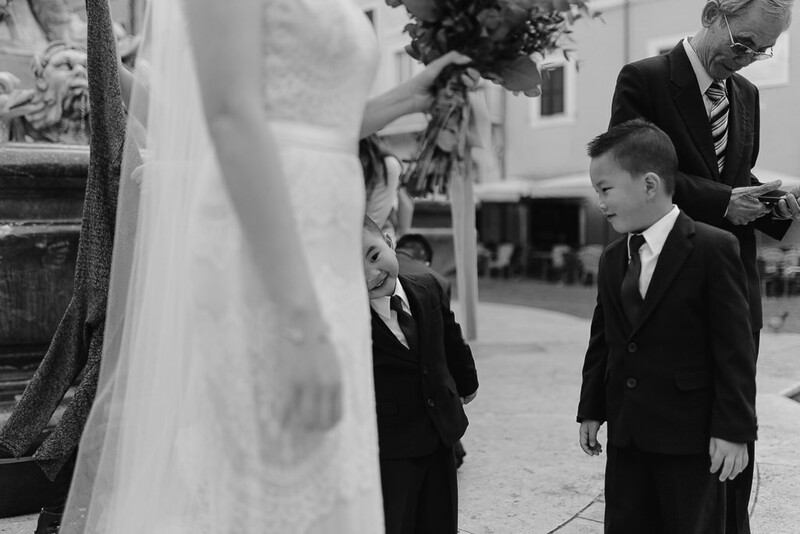 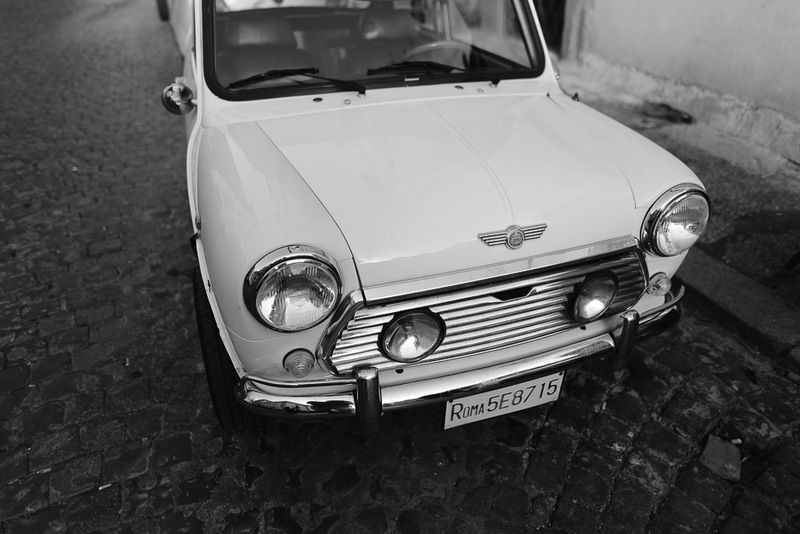 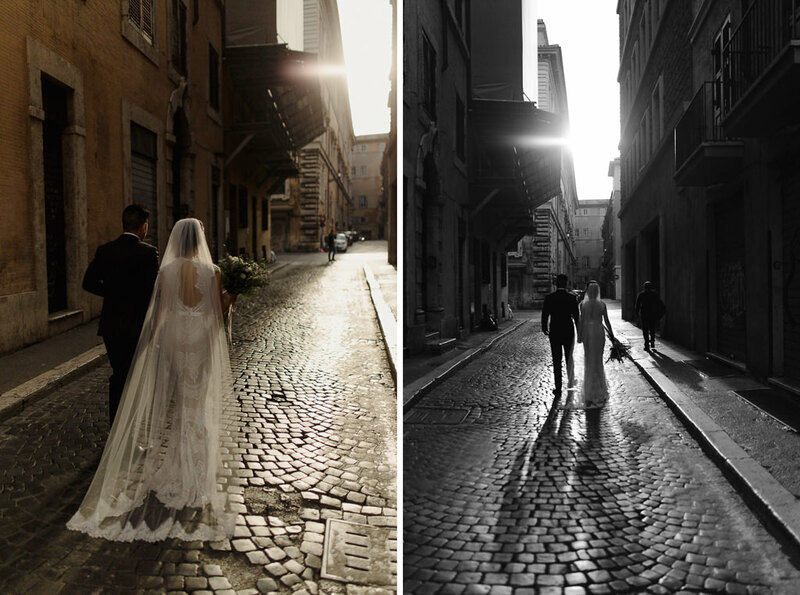 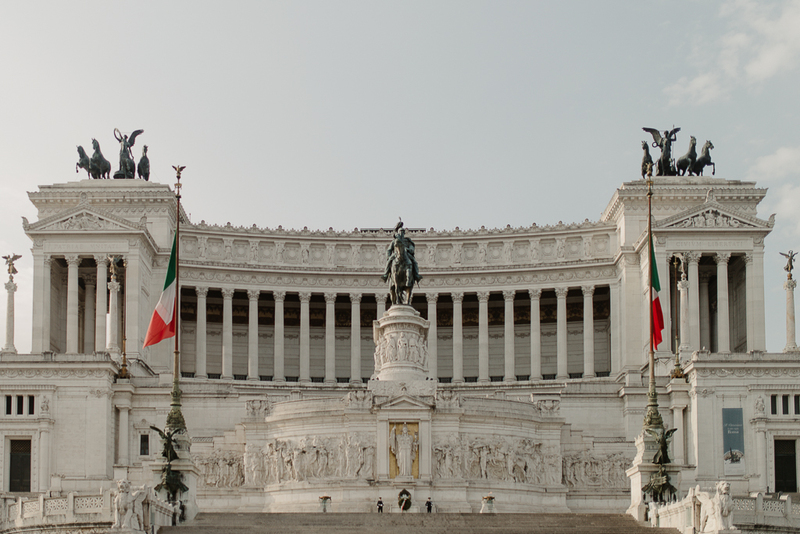 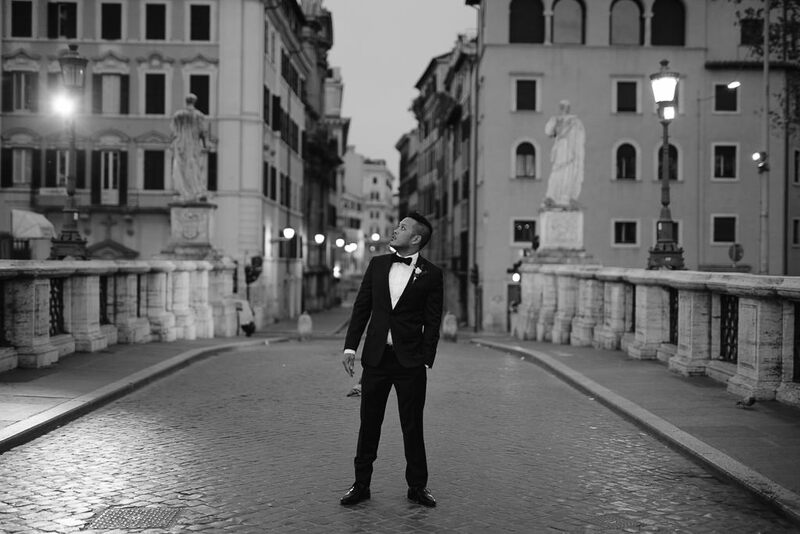 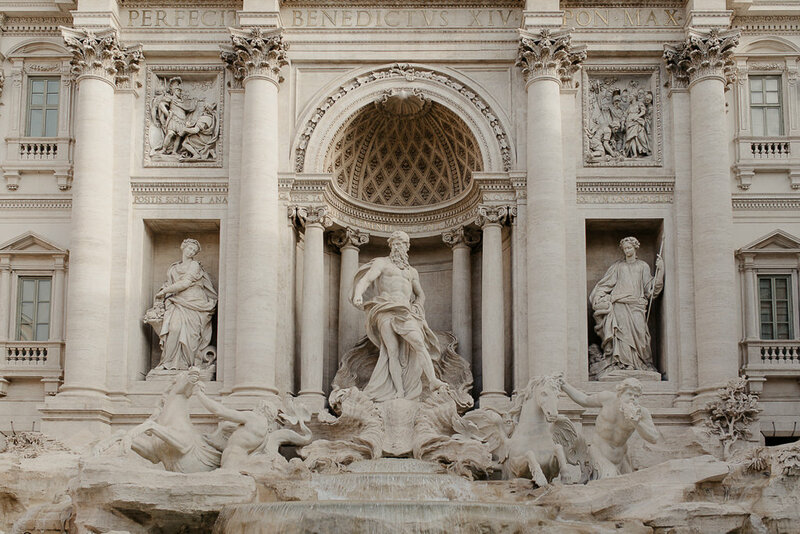 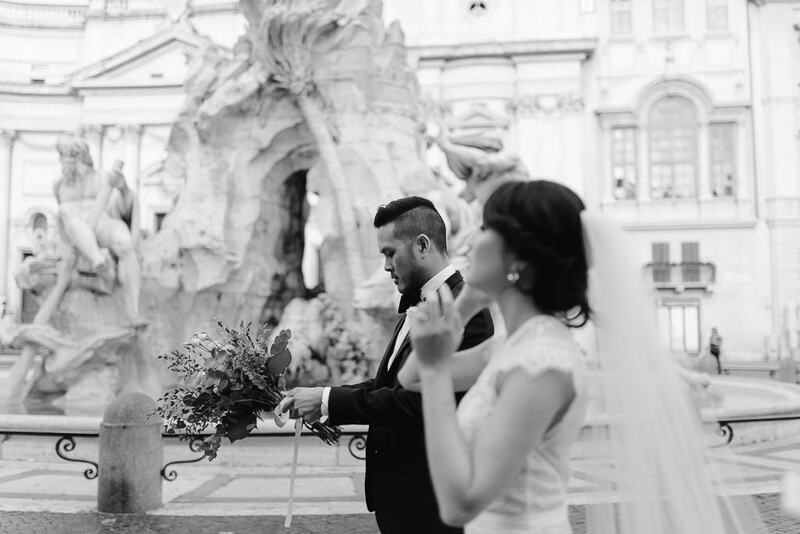 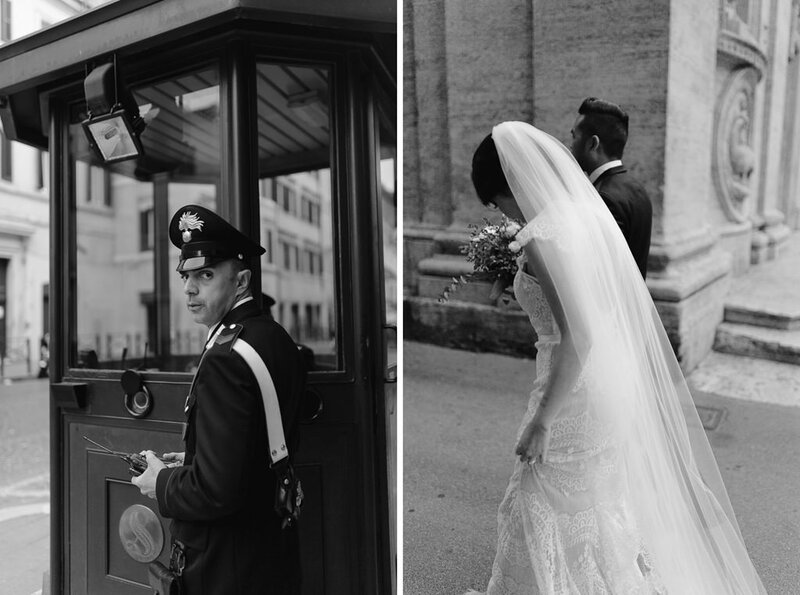 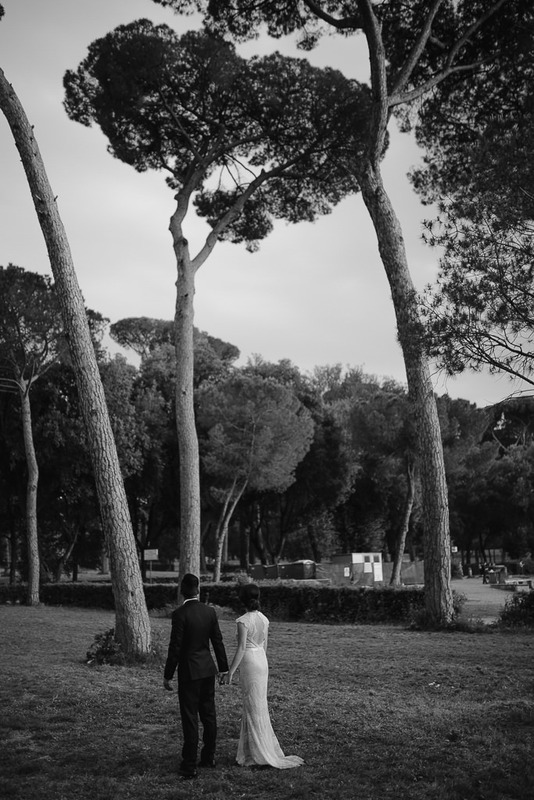 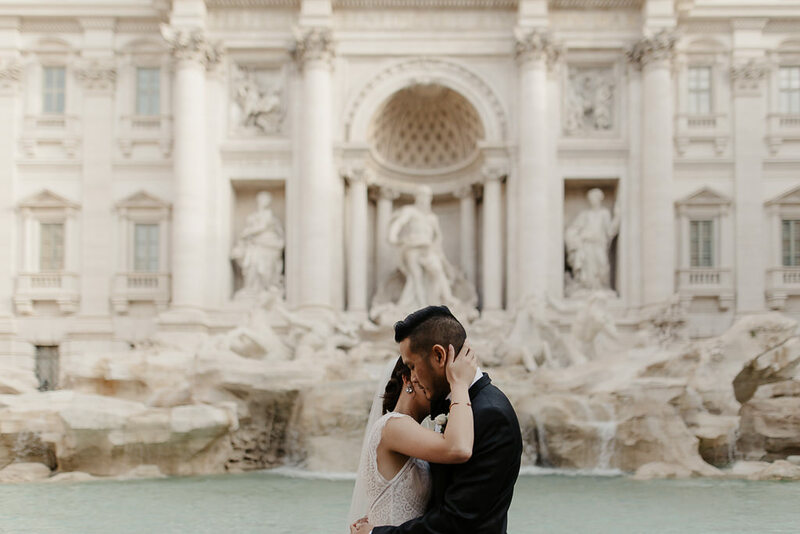 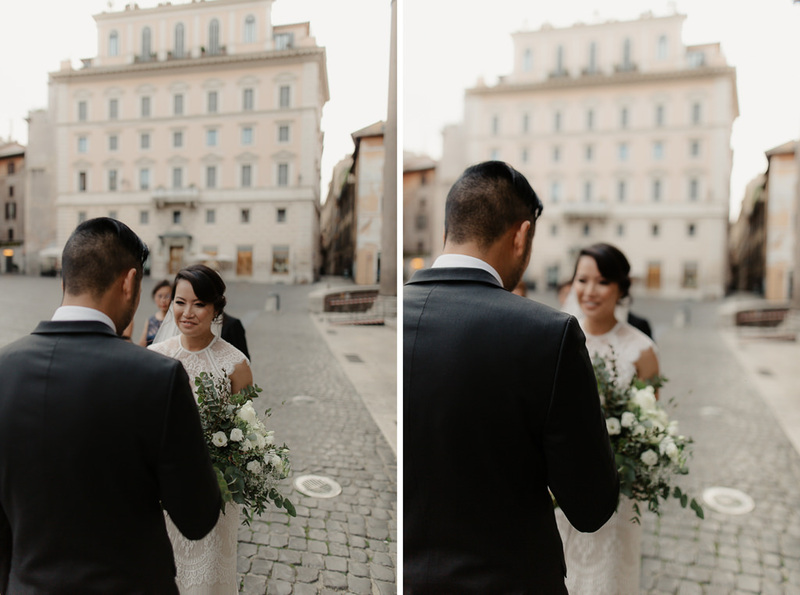 Ha & Andrew’s destination wedding in Rome was special in every way. 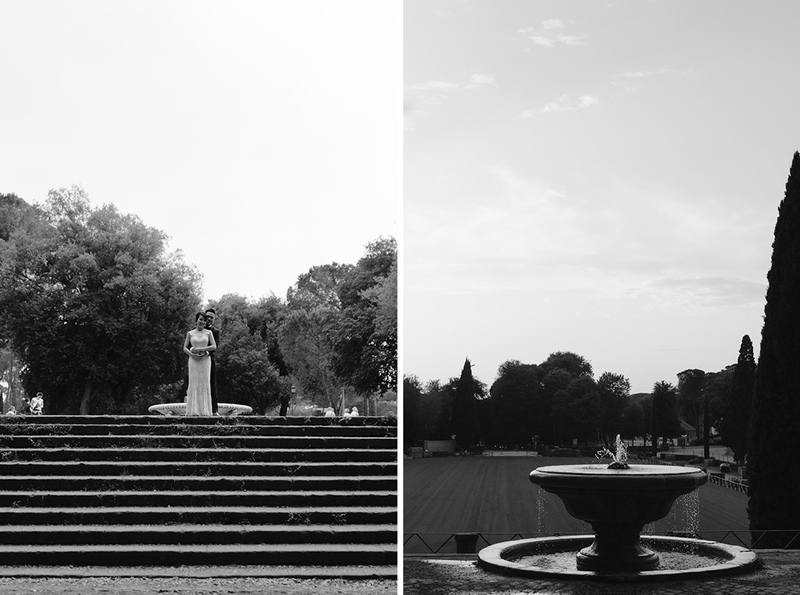 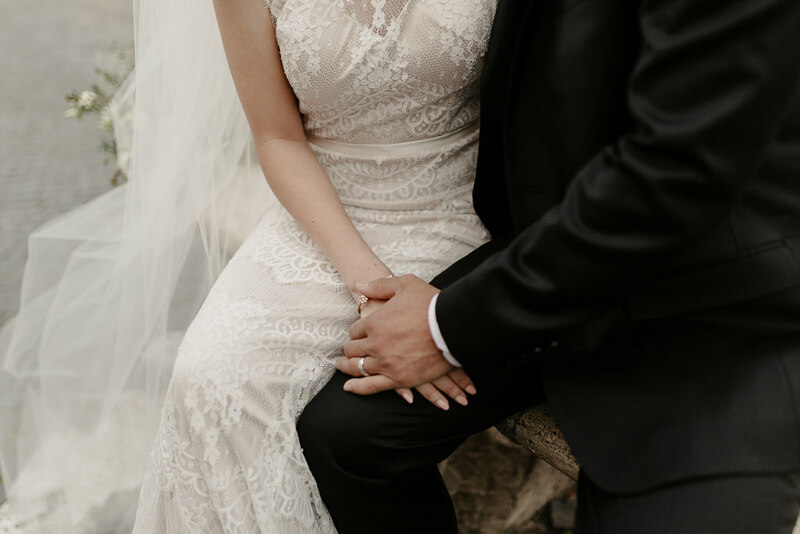 We were thrilled to be a part of their story and to photograph their wedding. 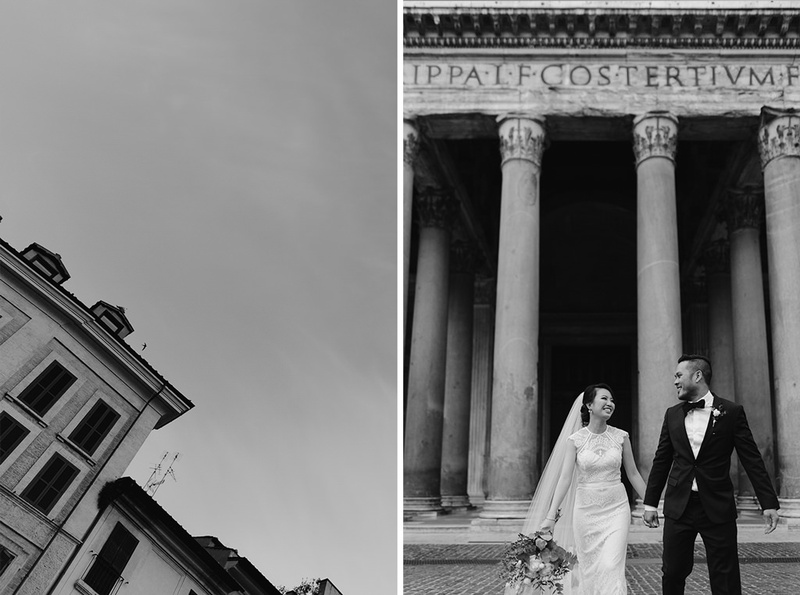 After our venetian adventure with Carly & Angus it was time to leave beautiful canals and romantic streets and move a little bit to the south. 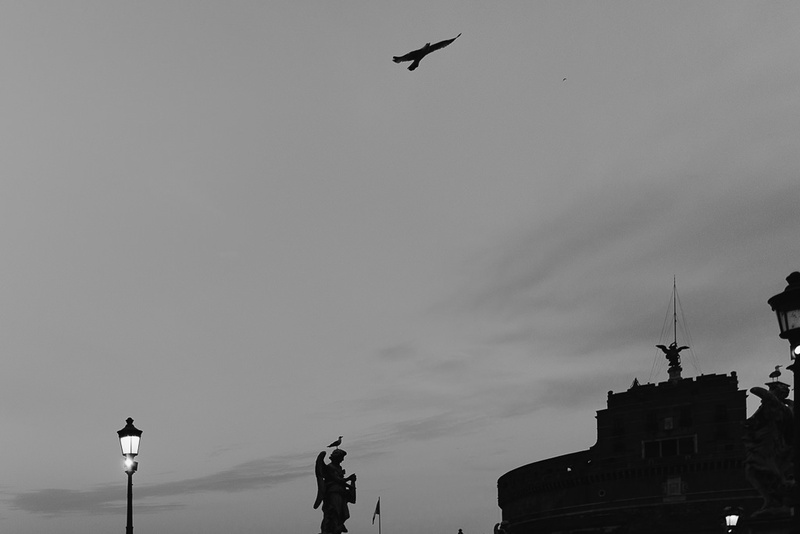 Rome was waiting for us. 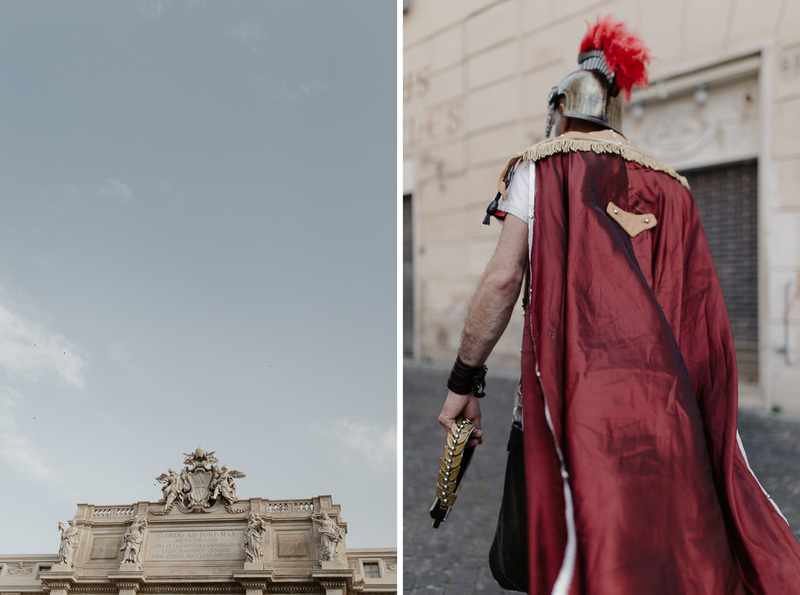 So we took a fast train to one of the oldest European cities. 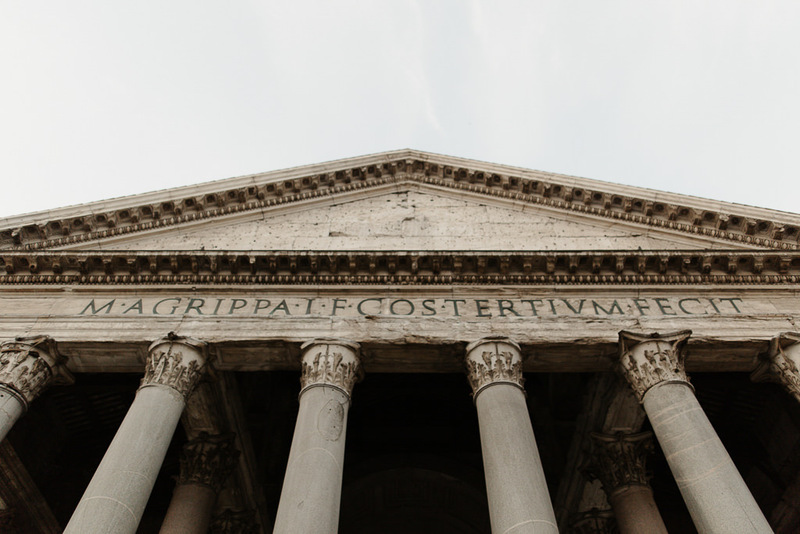 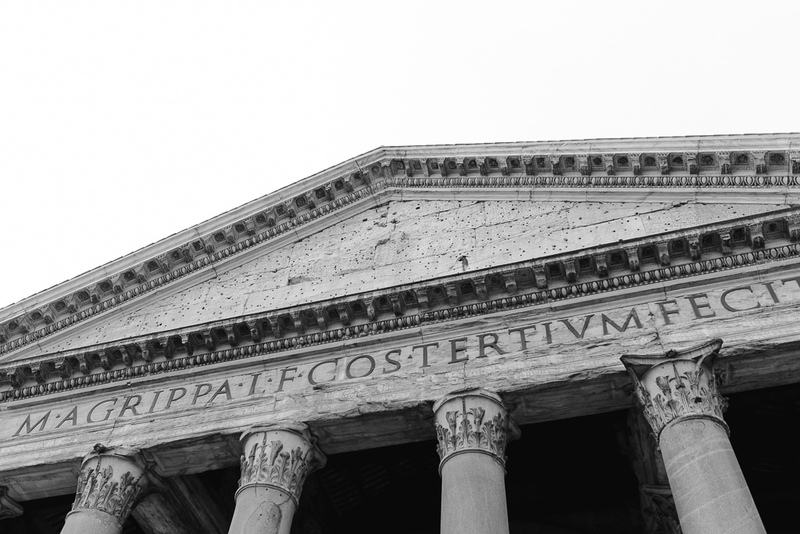 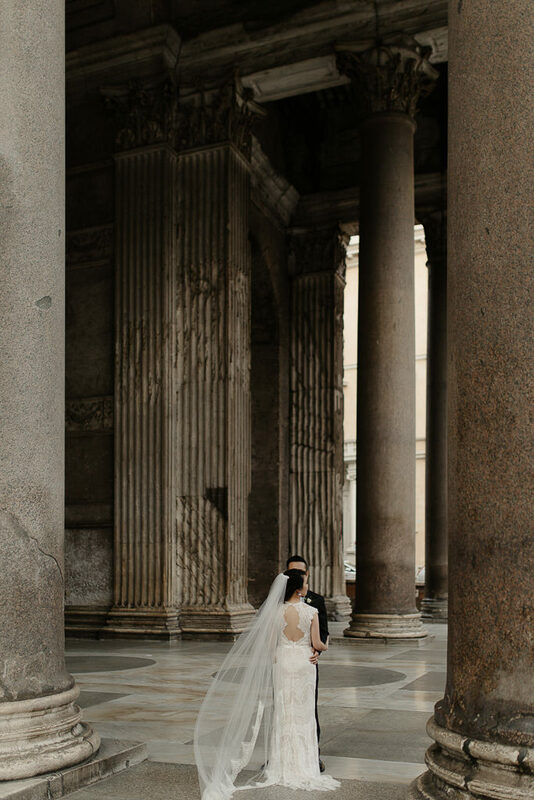 We were in front of the Pantheon at the crack of dawn. 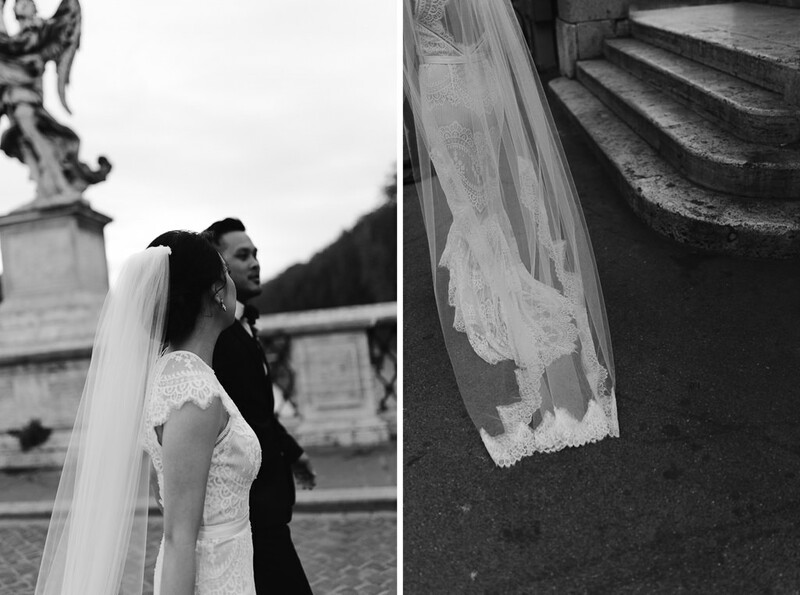 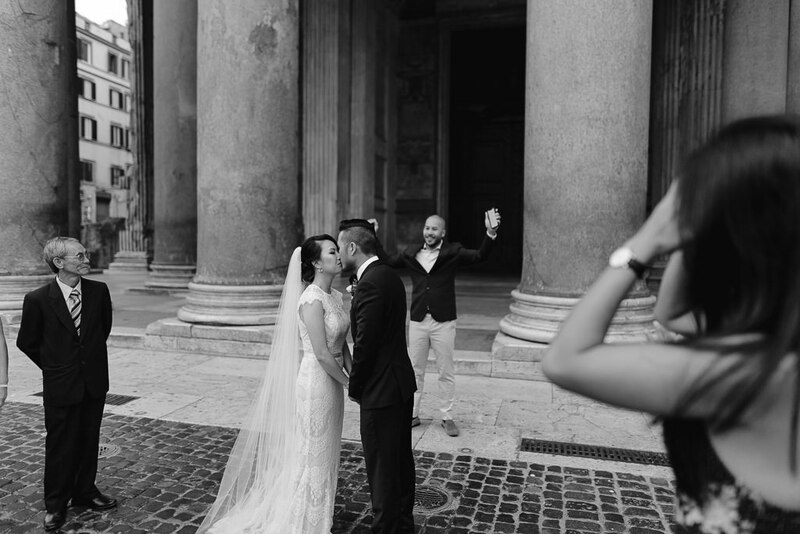 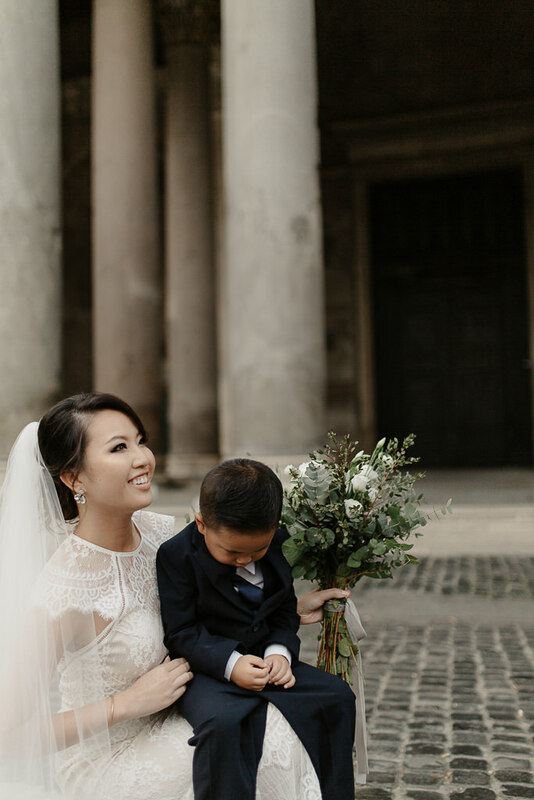 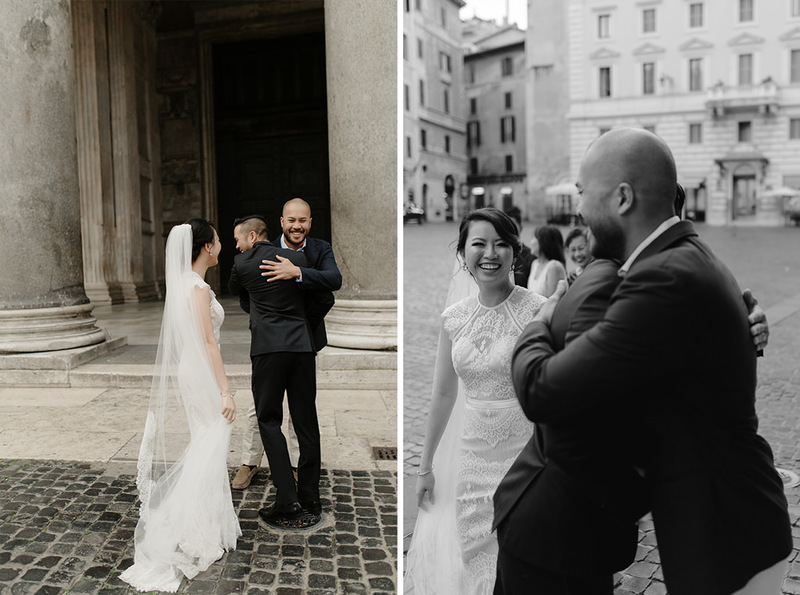 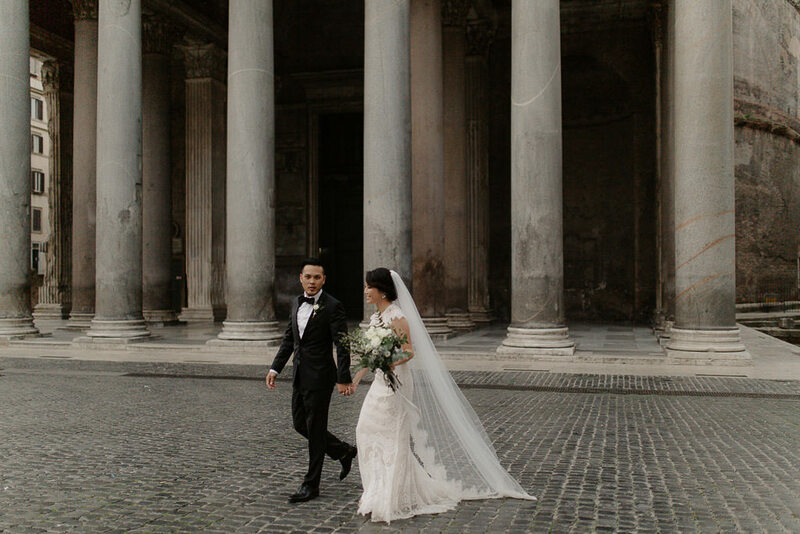 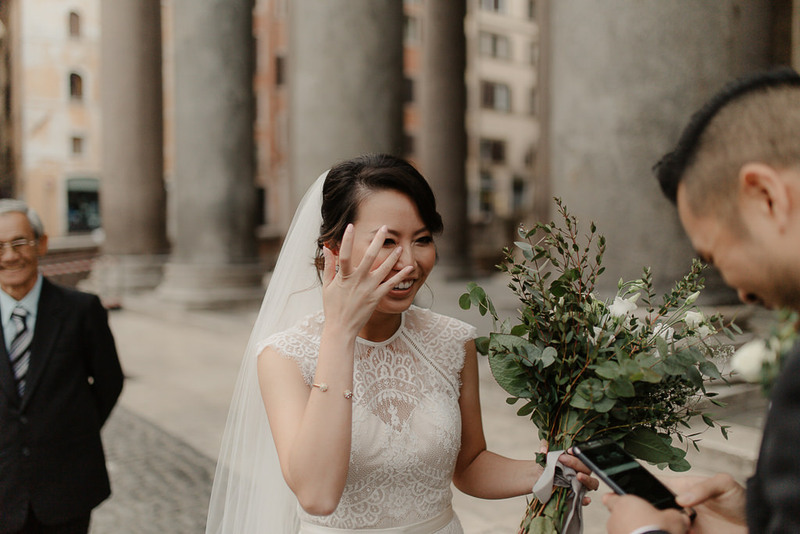 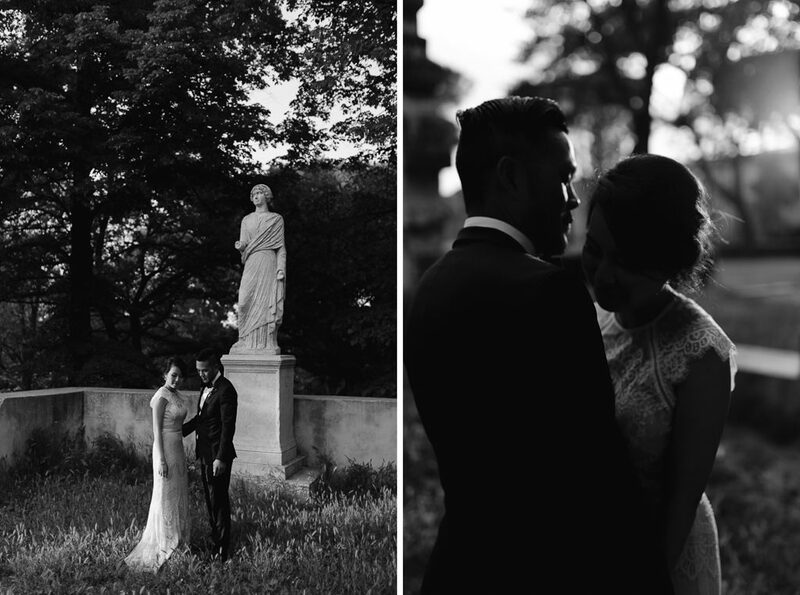 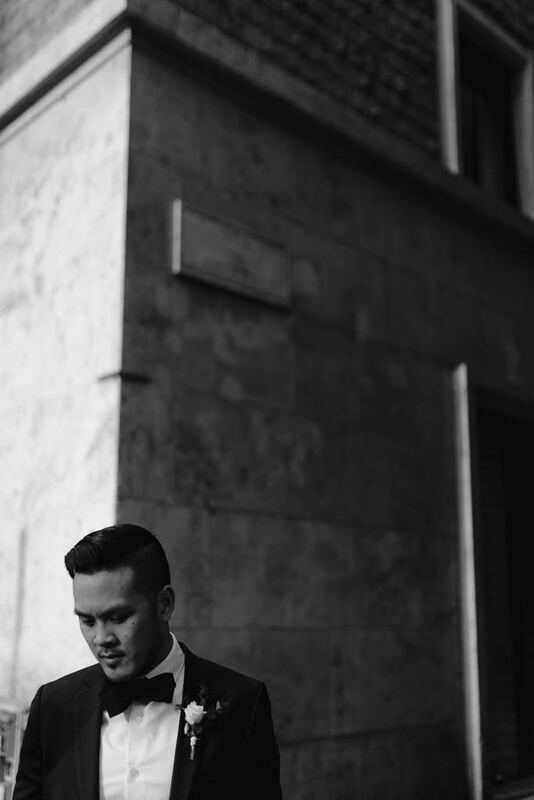 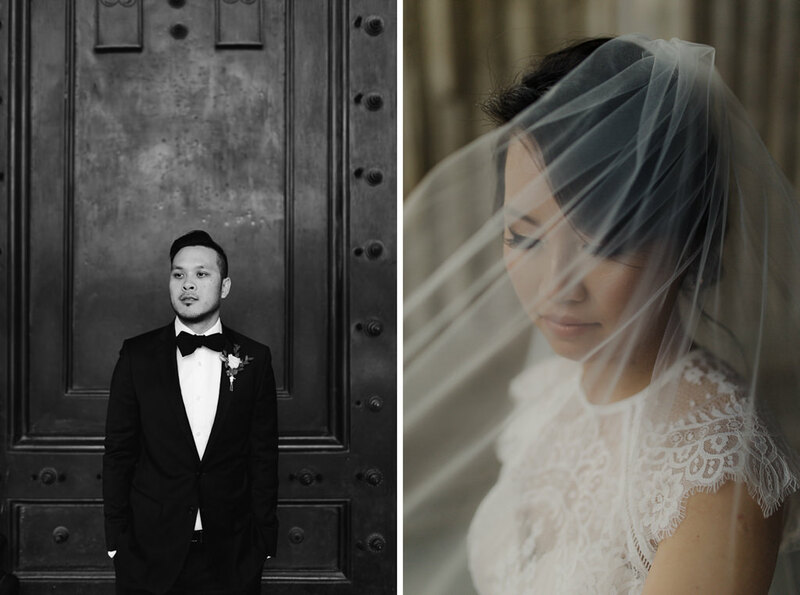 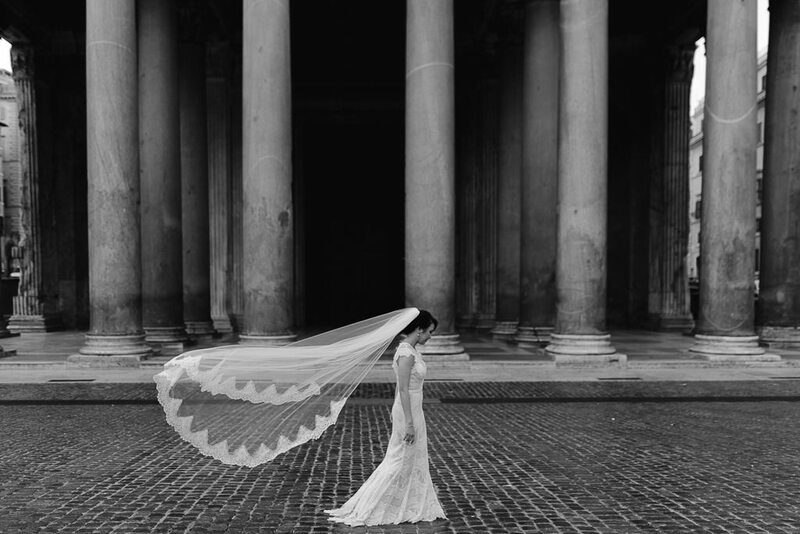 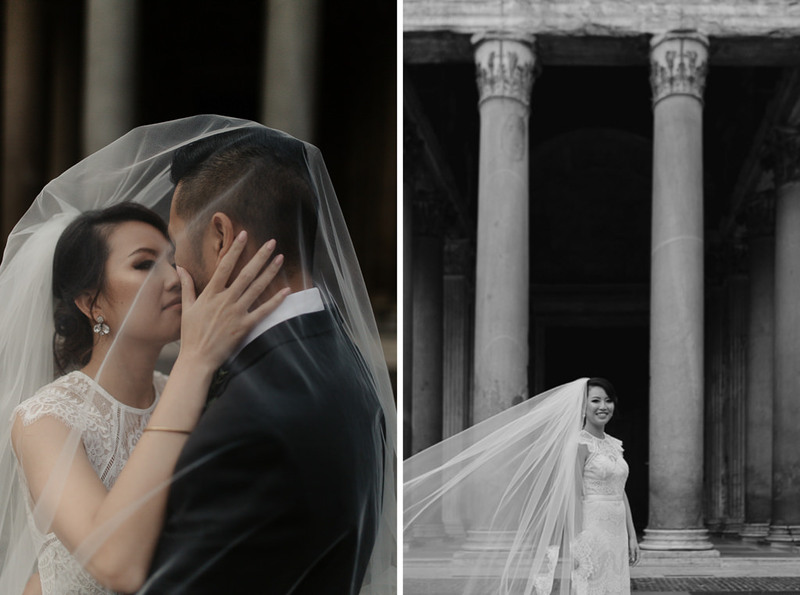 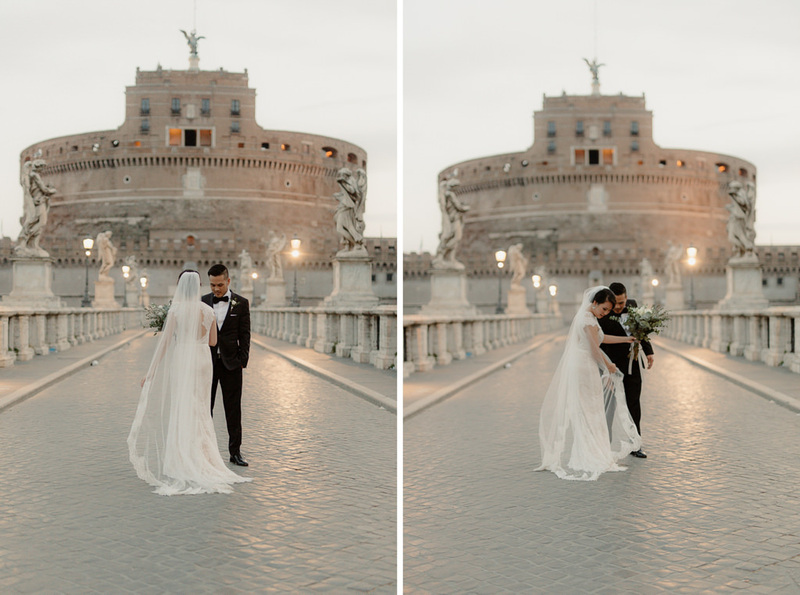 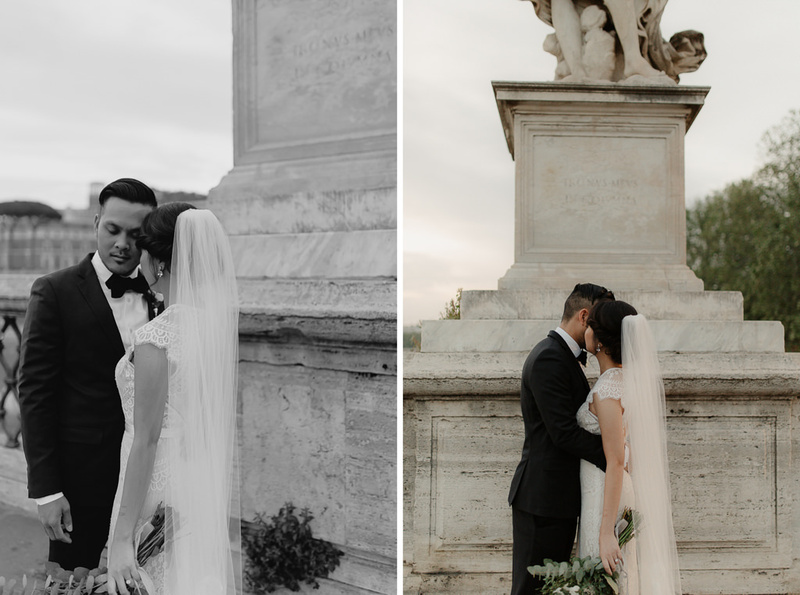 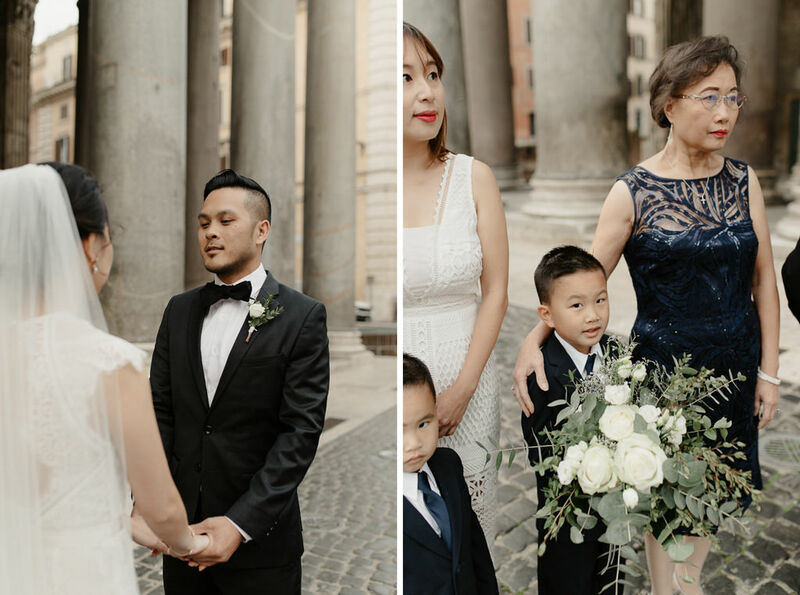 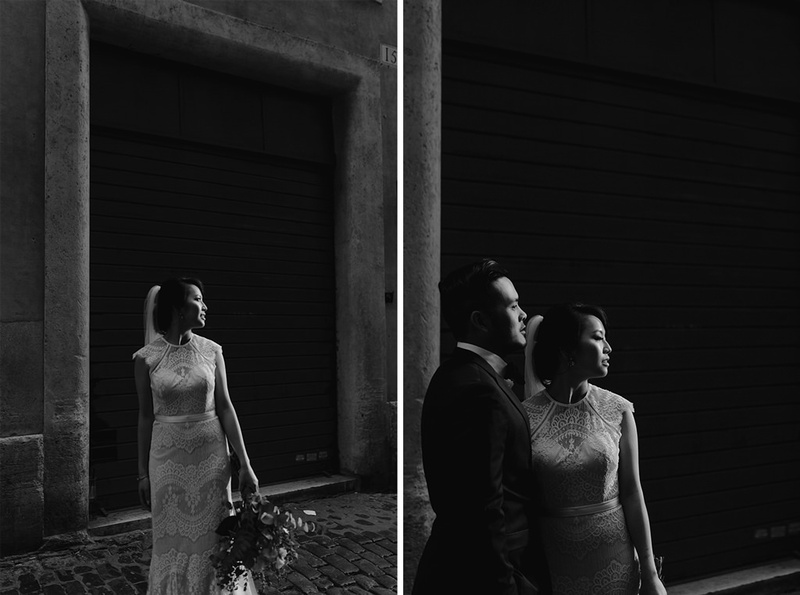 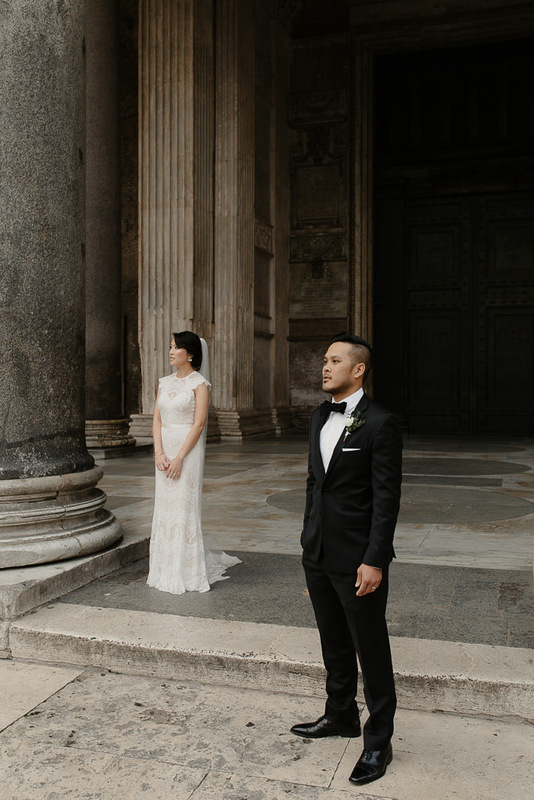 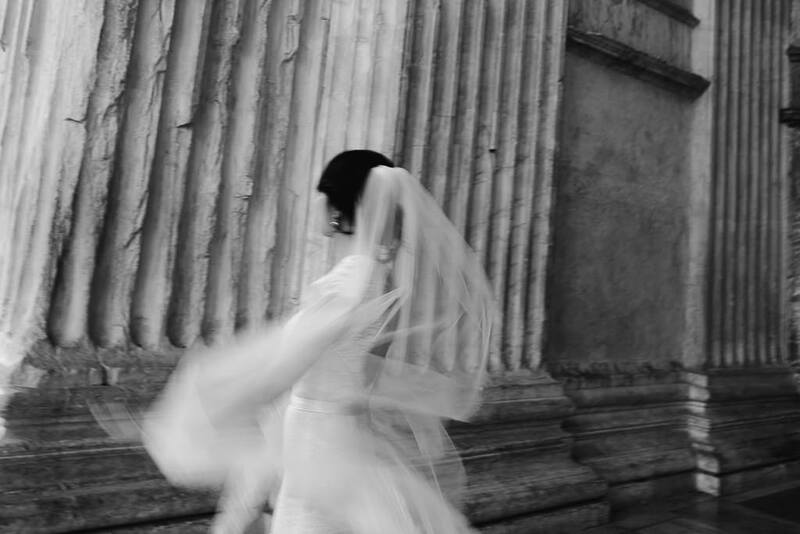 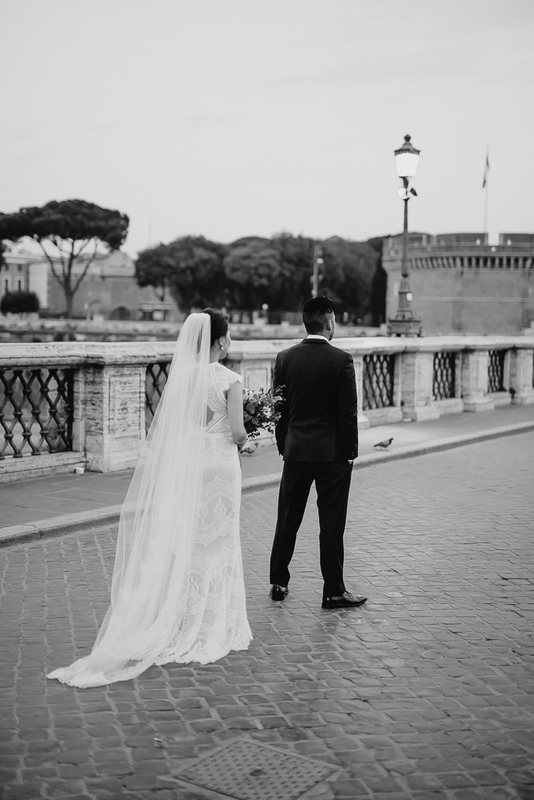 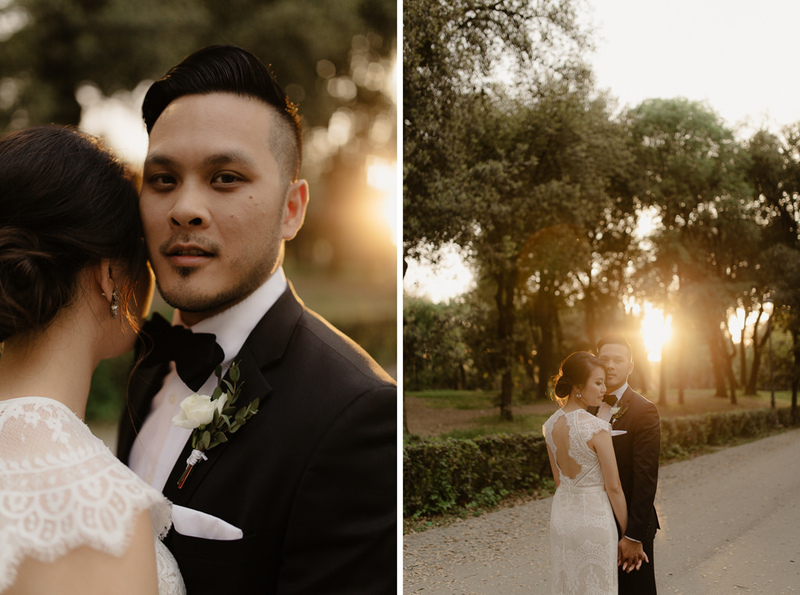 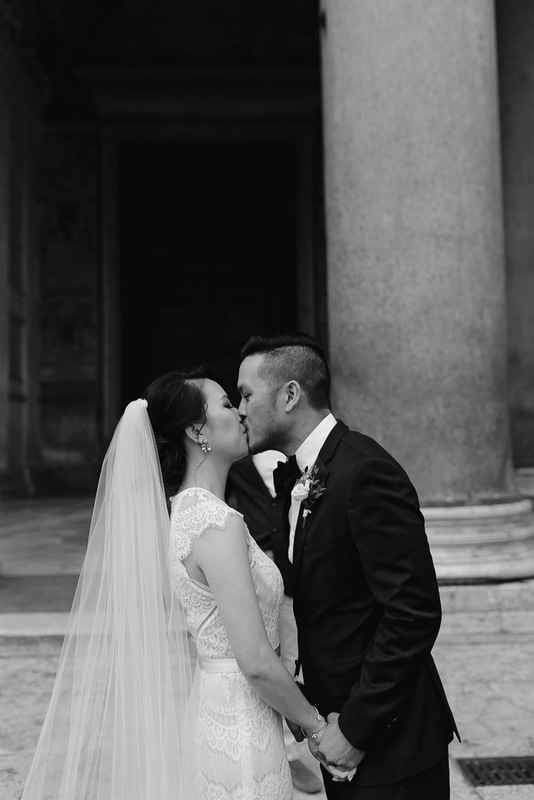 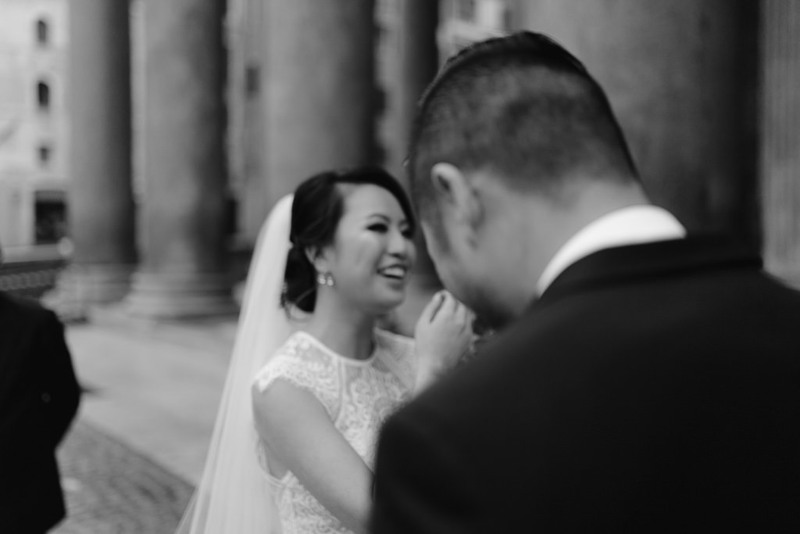 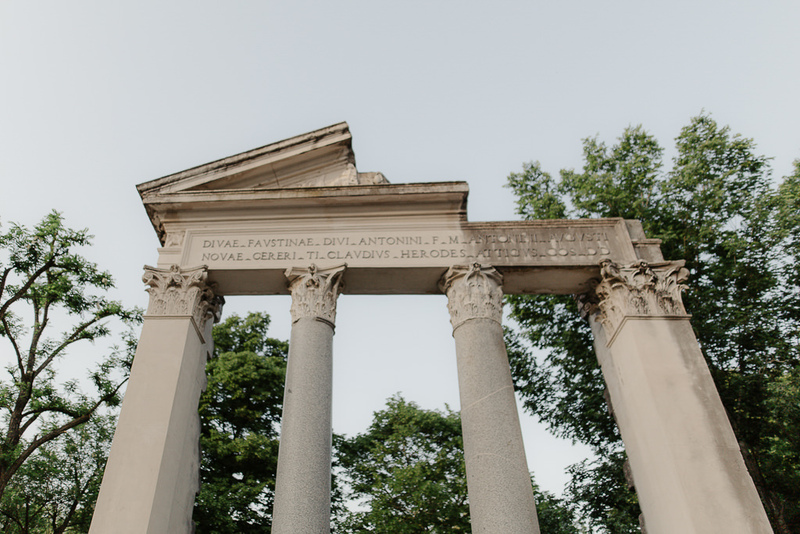 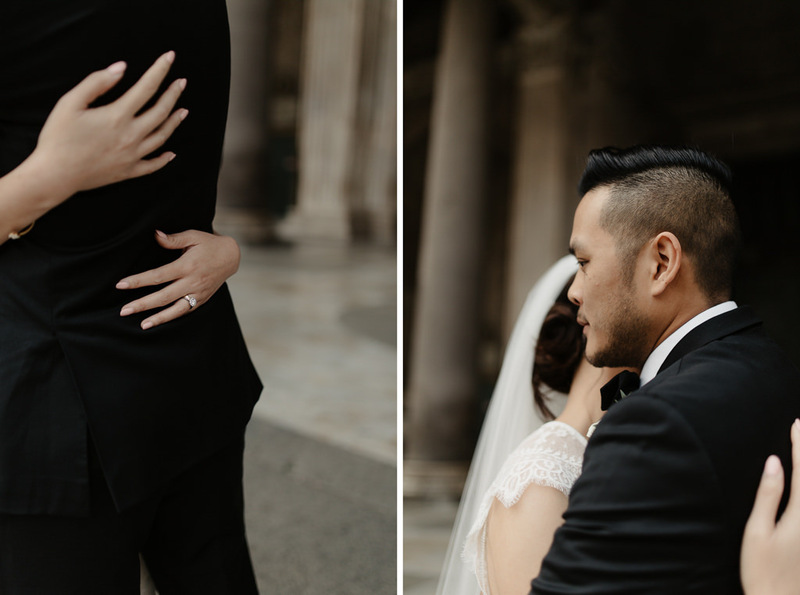 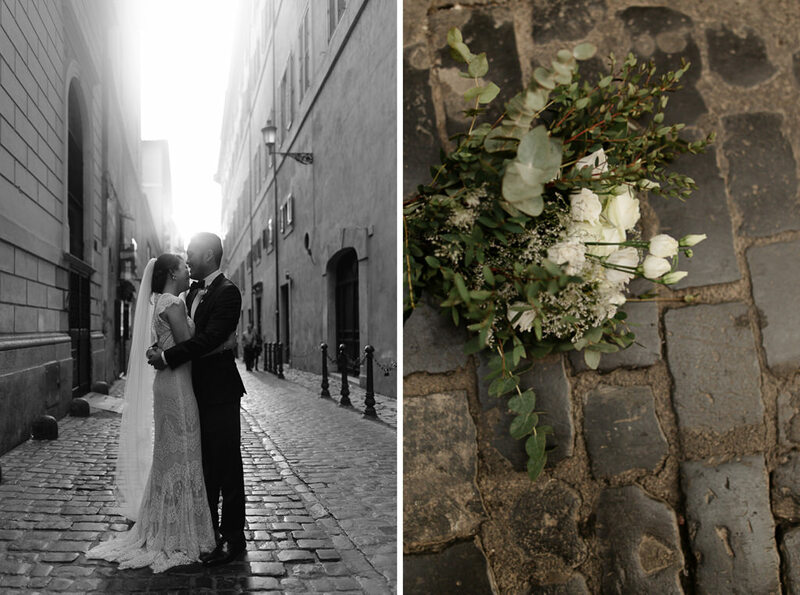 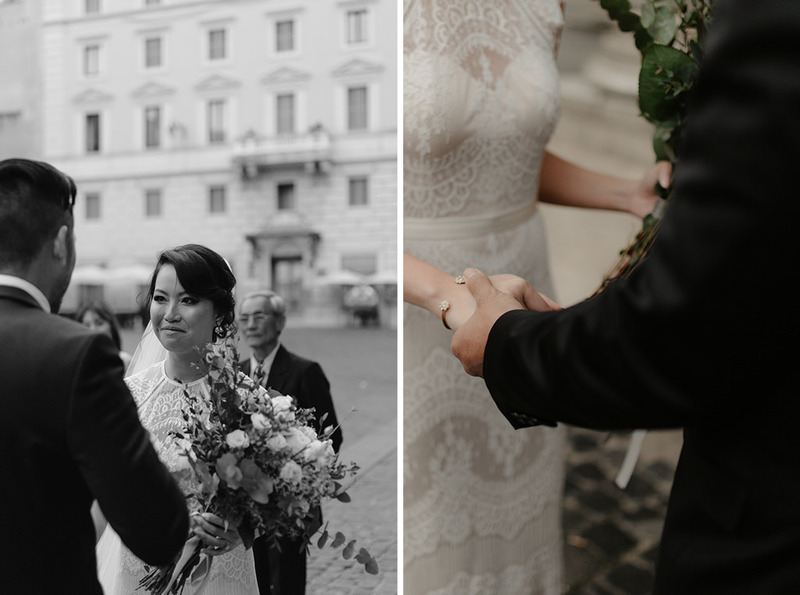 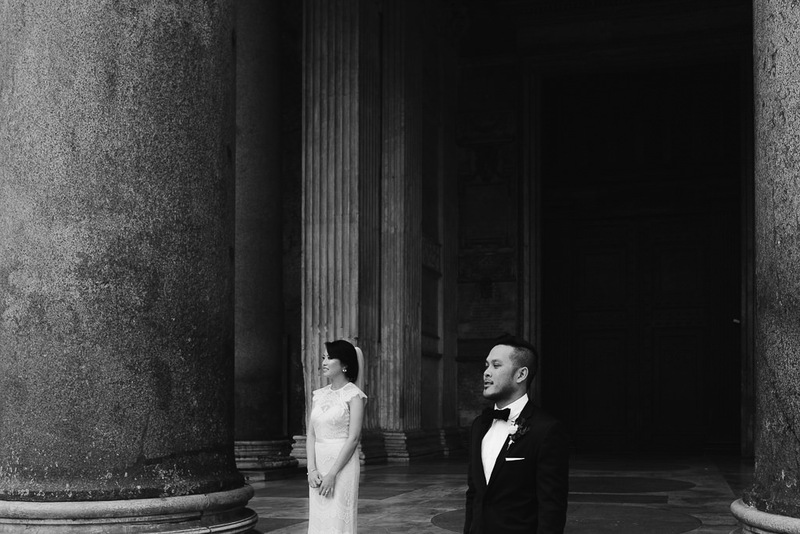 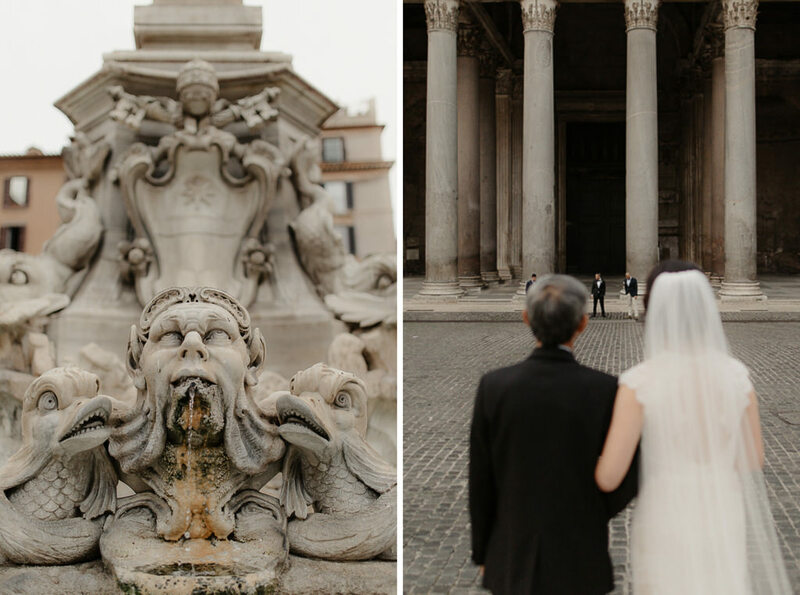 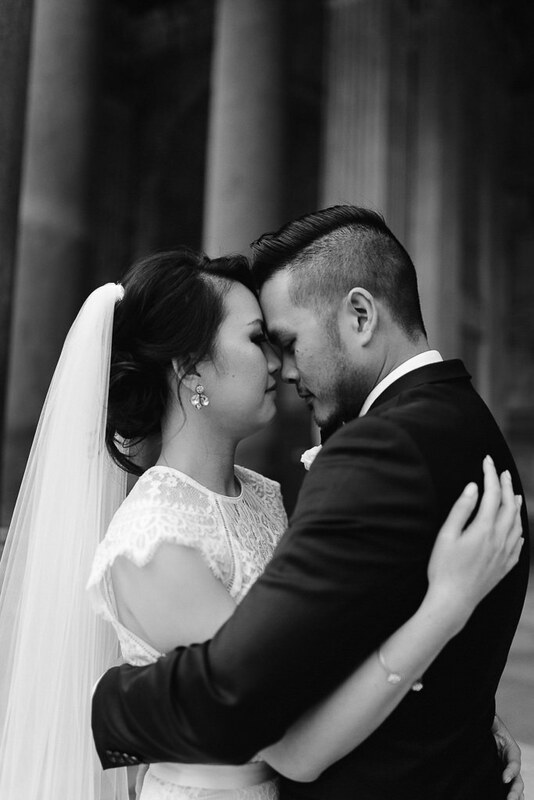 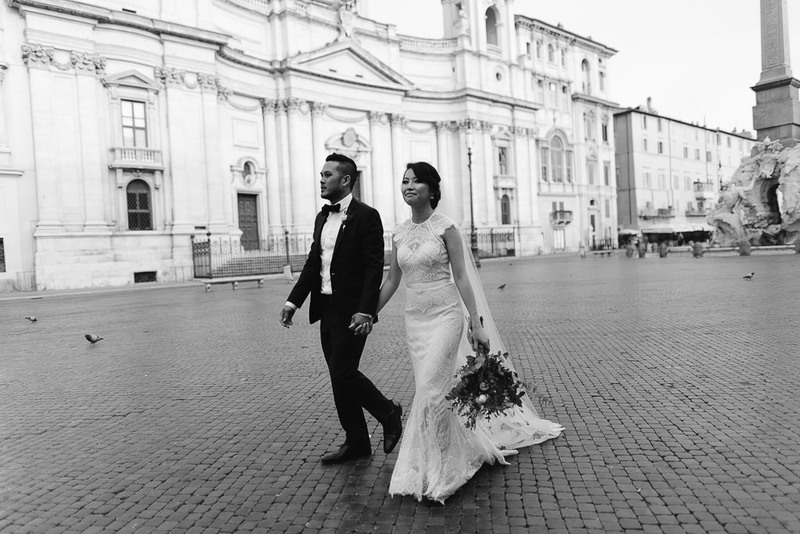 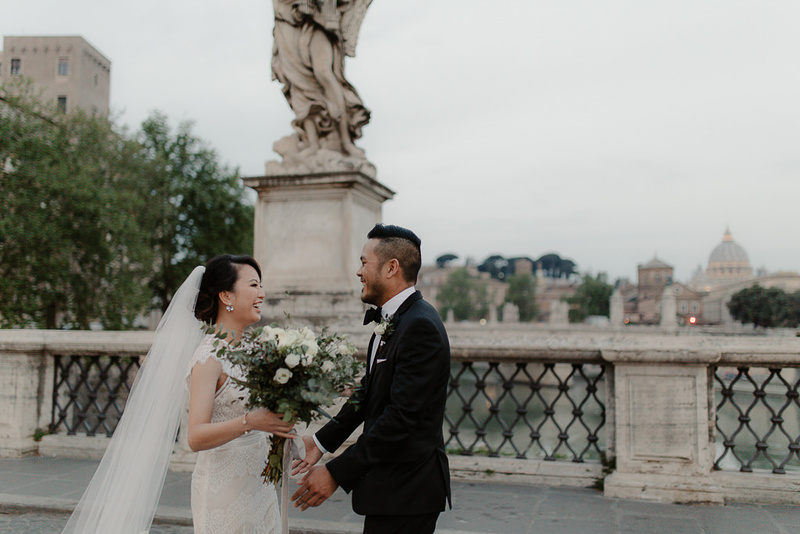 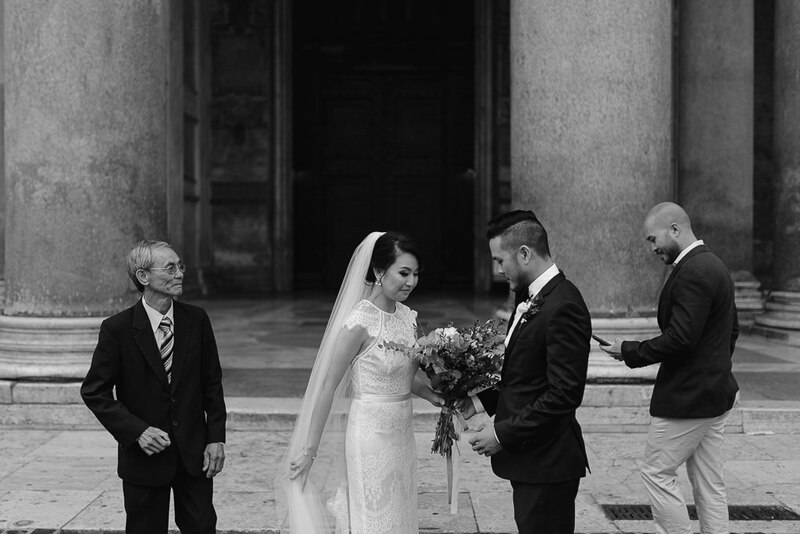 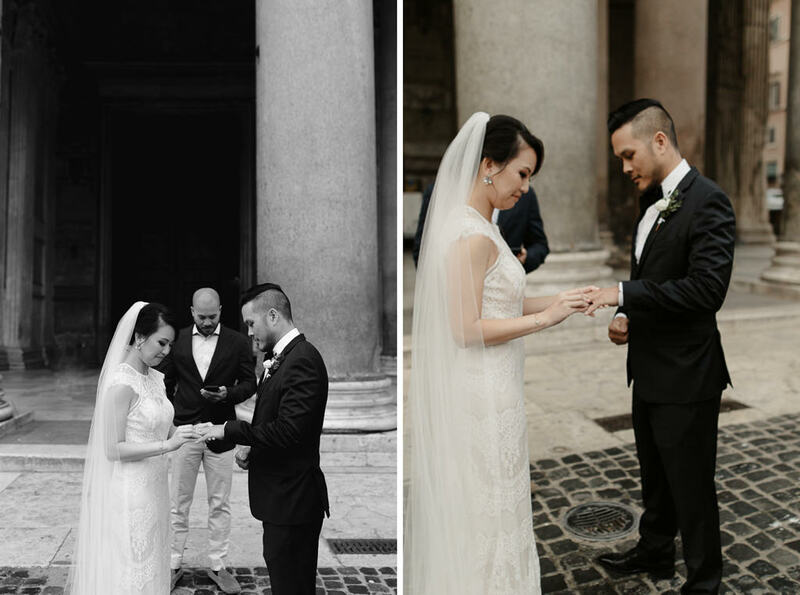 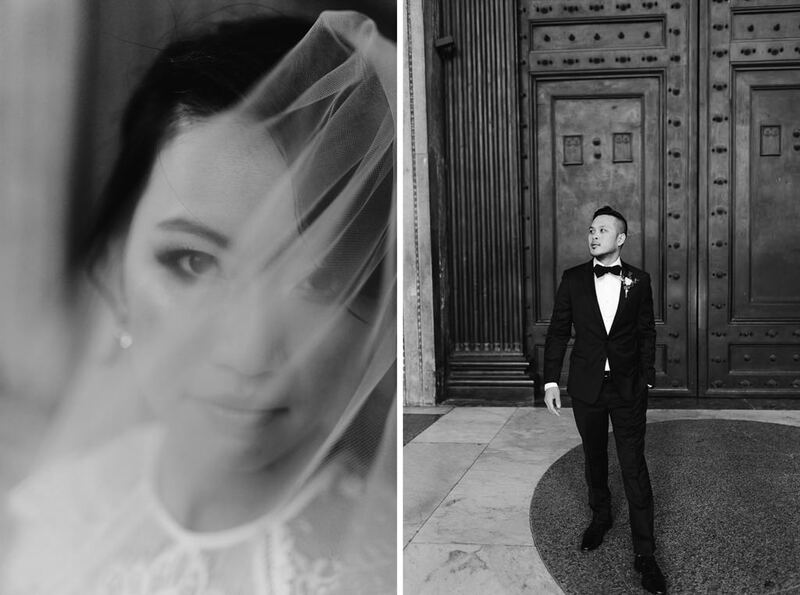 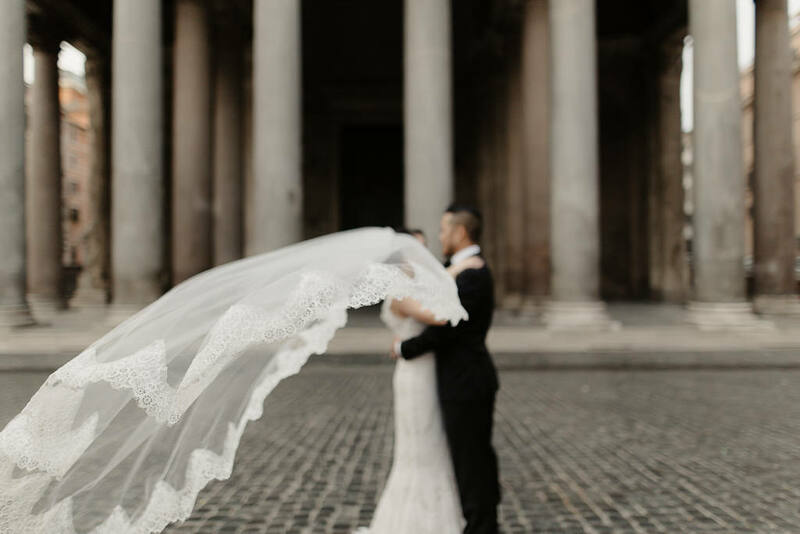 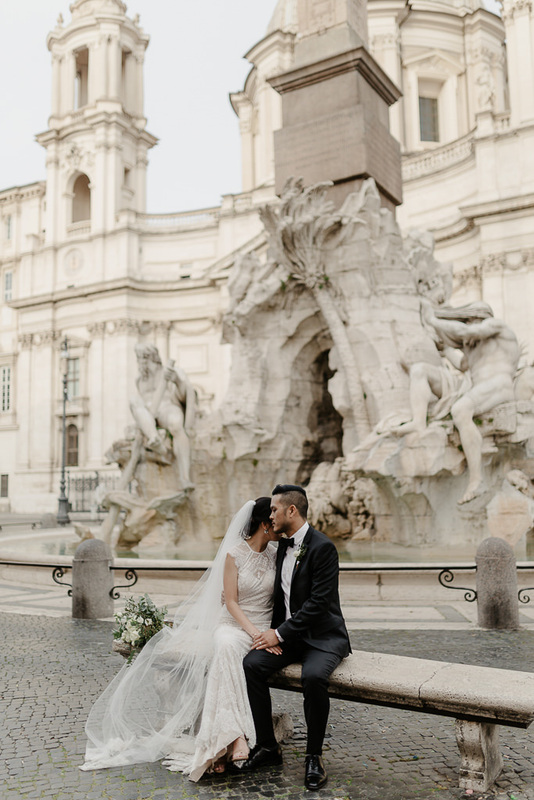 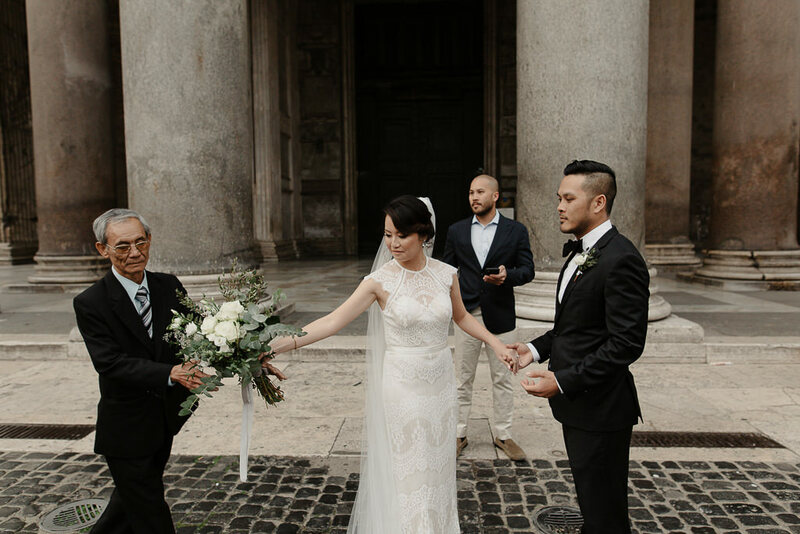 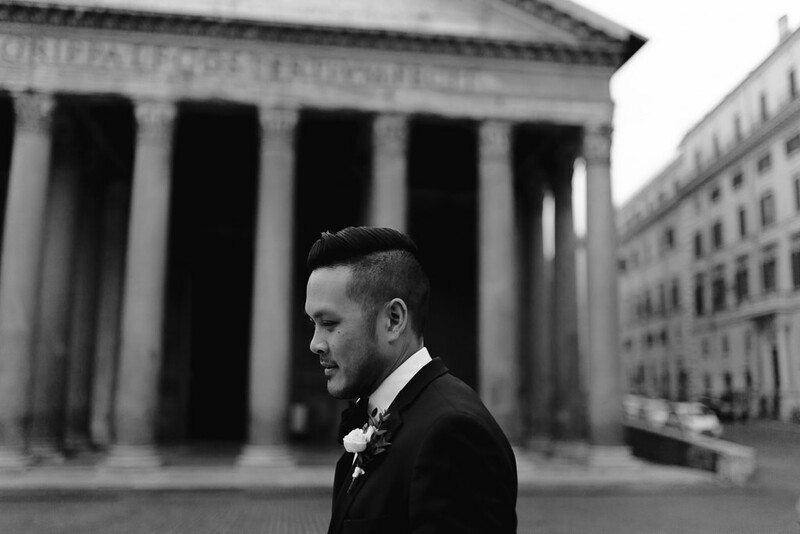 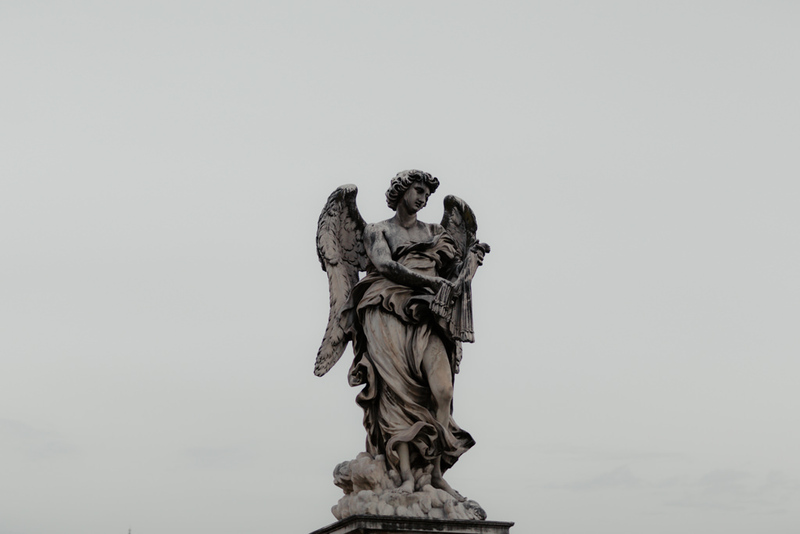 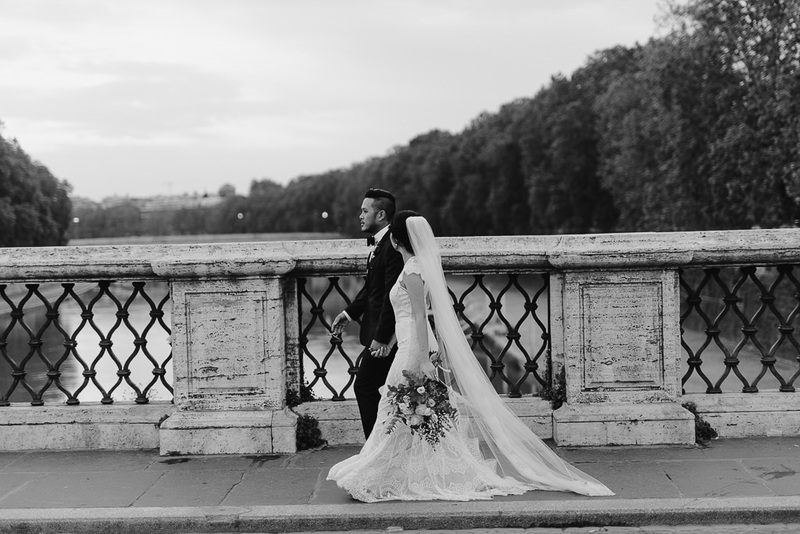 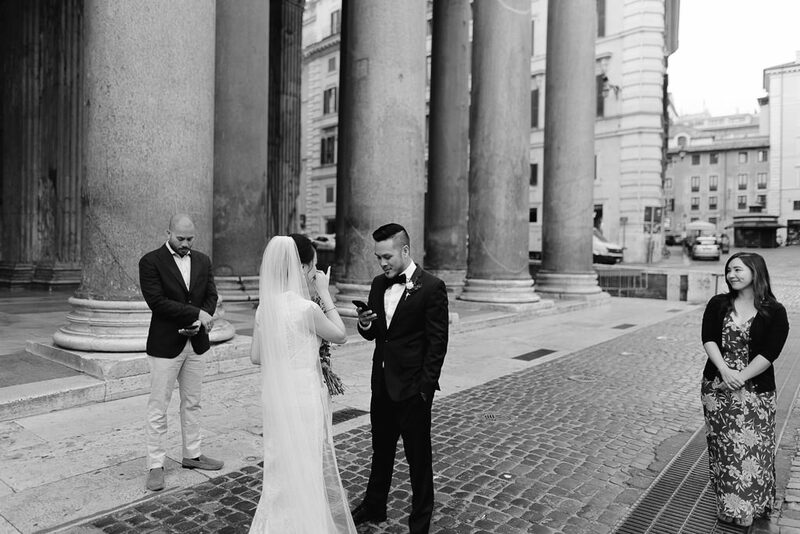 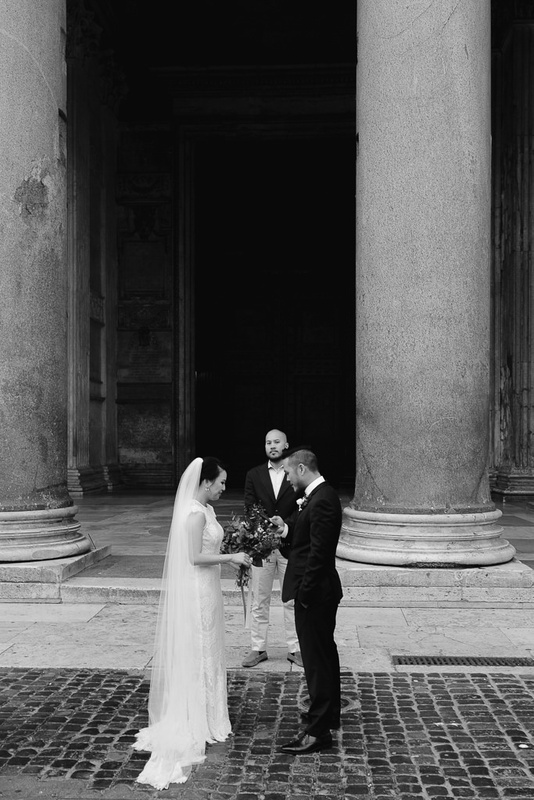 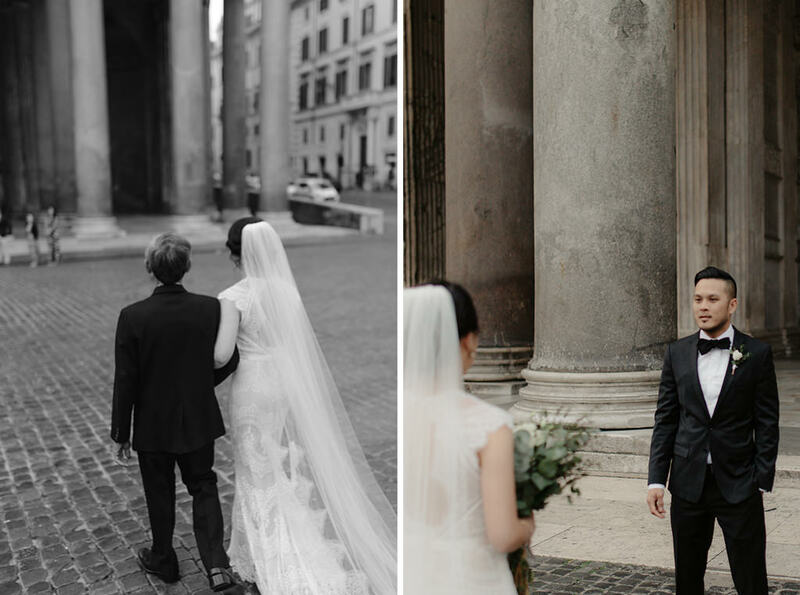 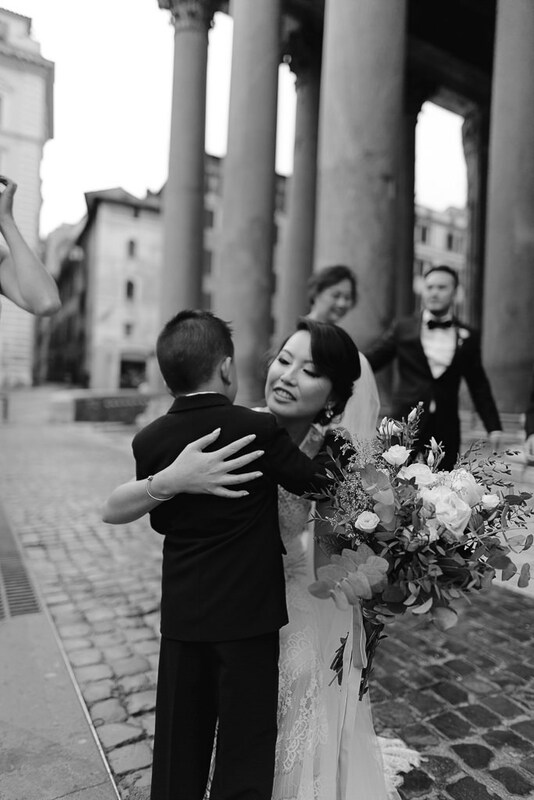 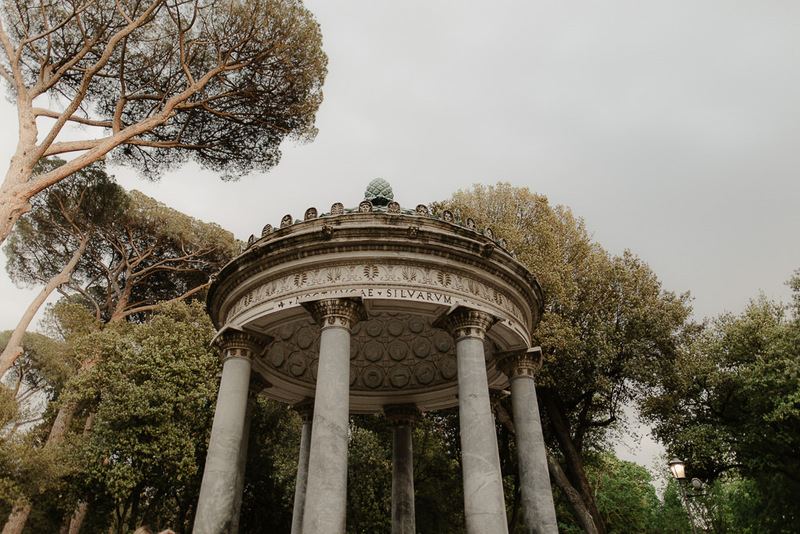 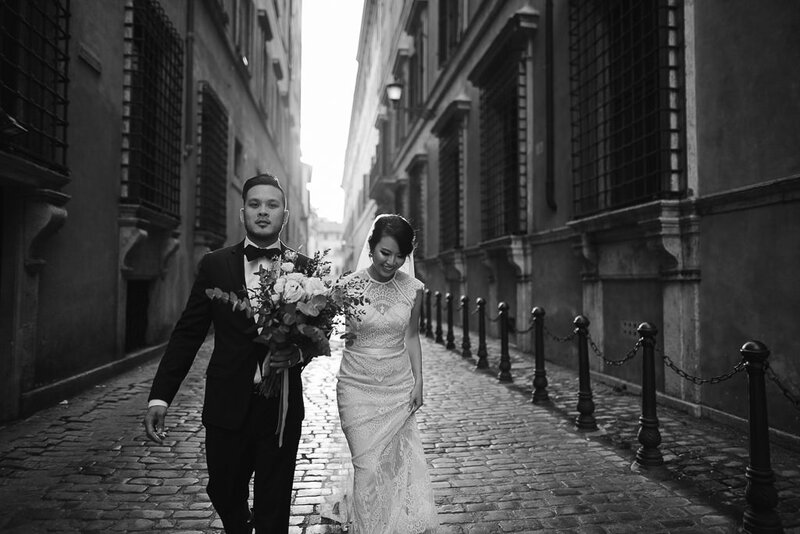 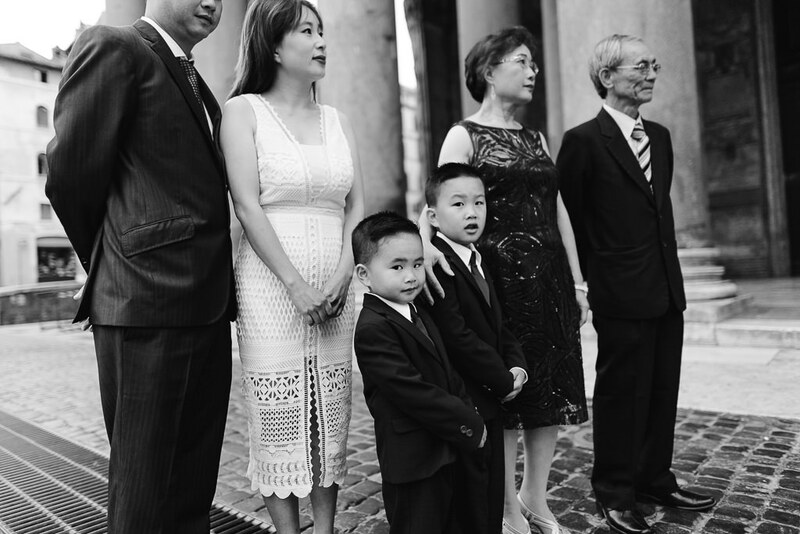 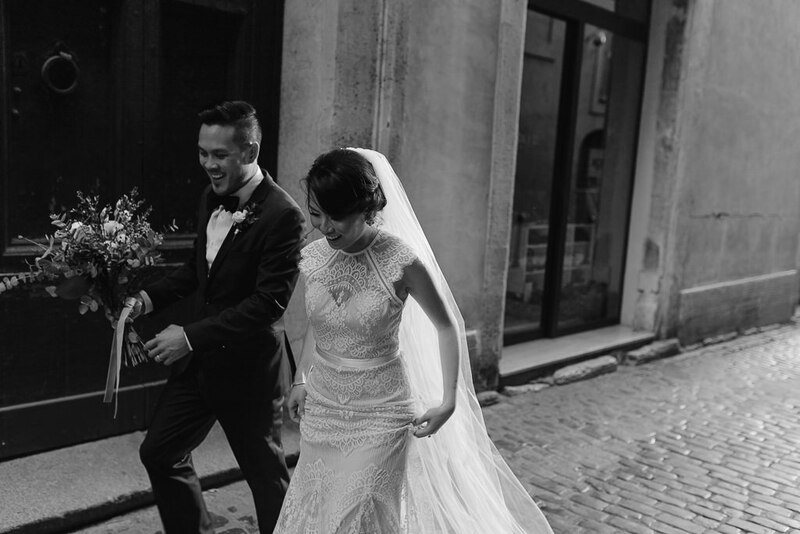 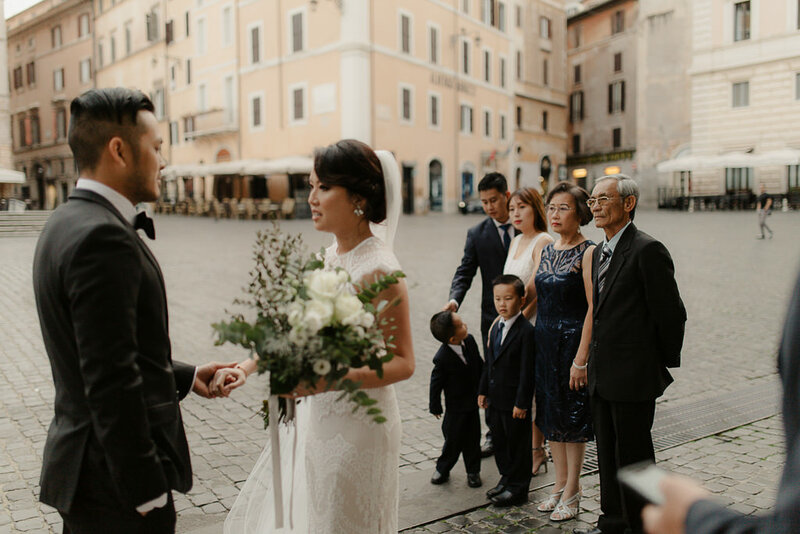 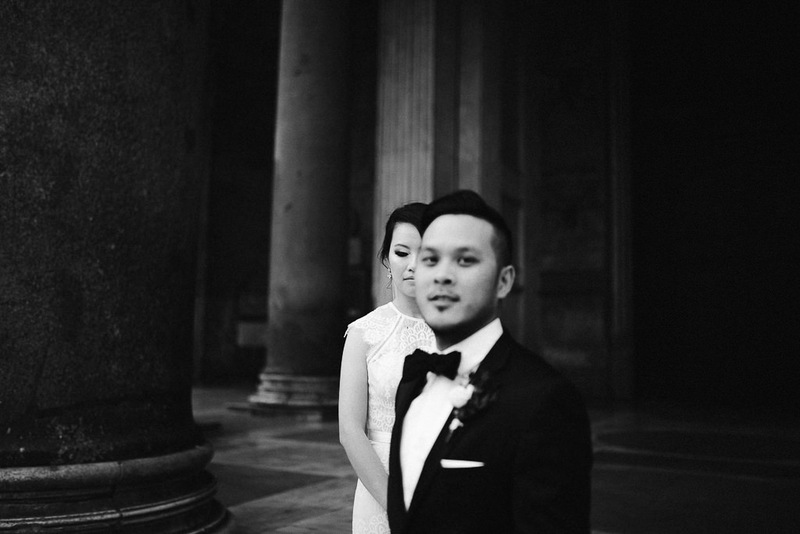 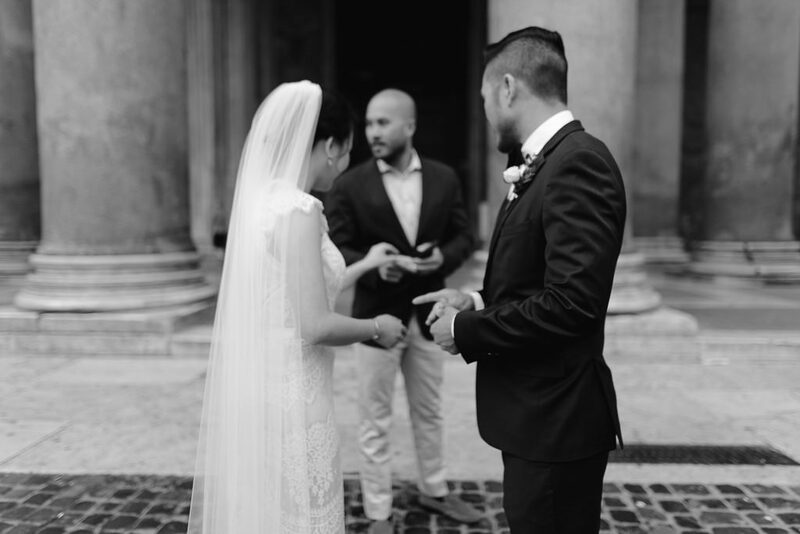 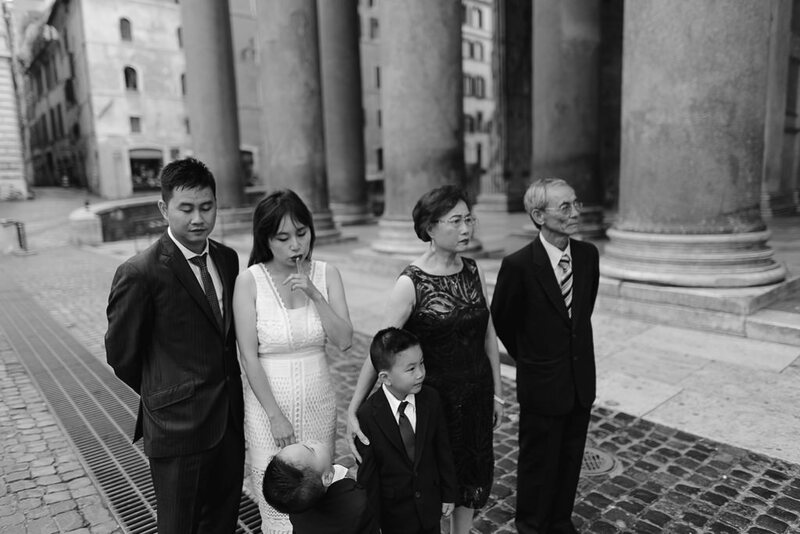 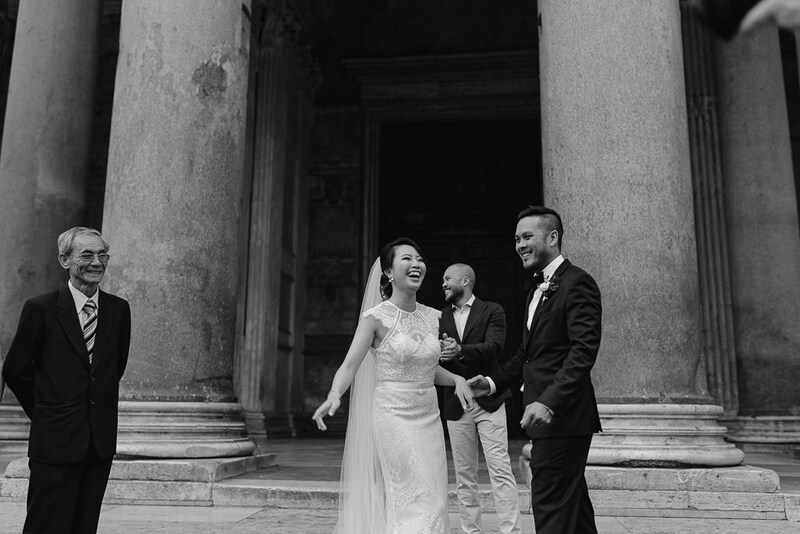 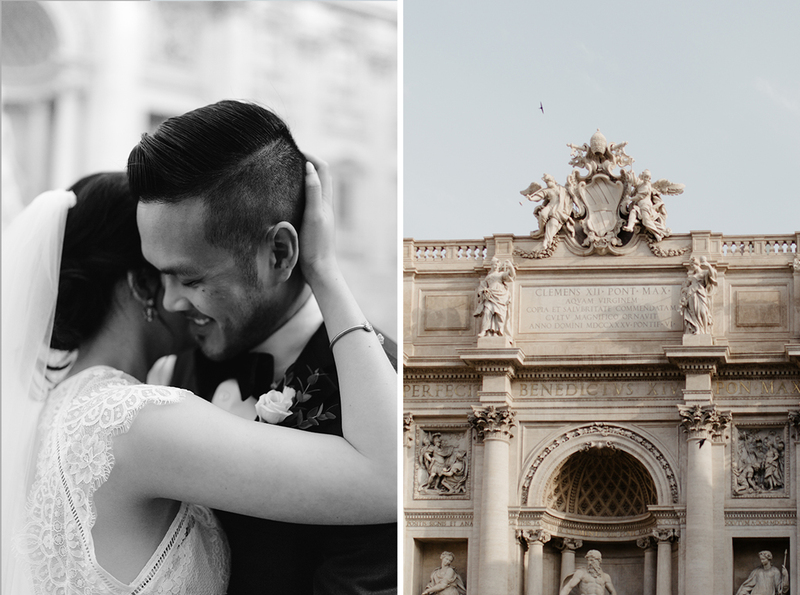 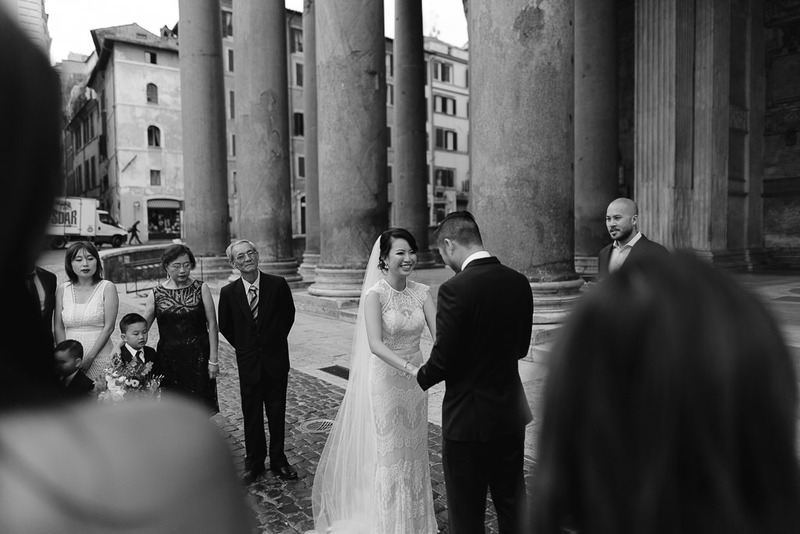 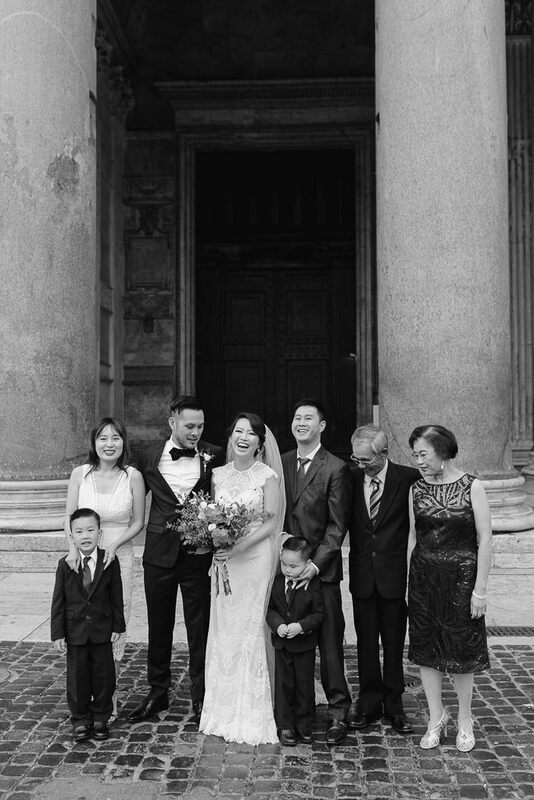 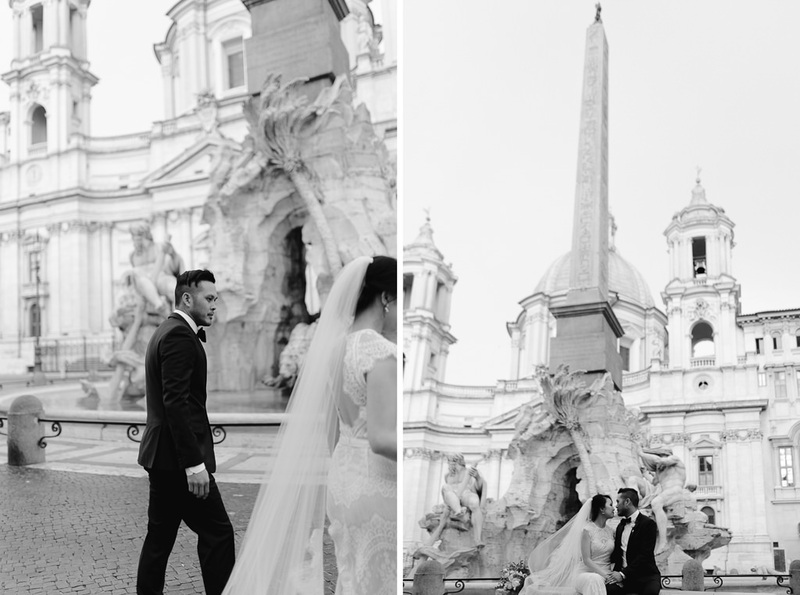 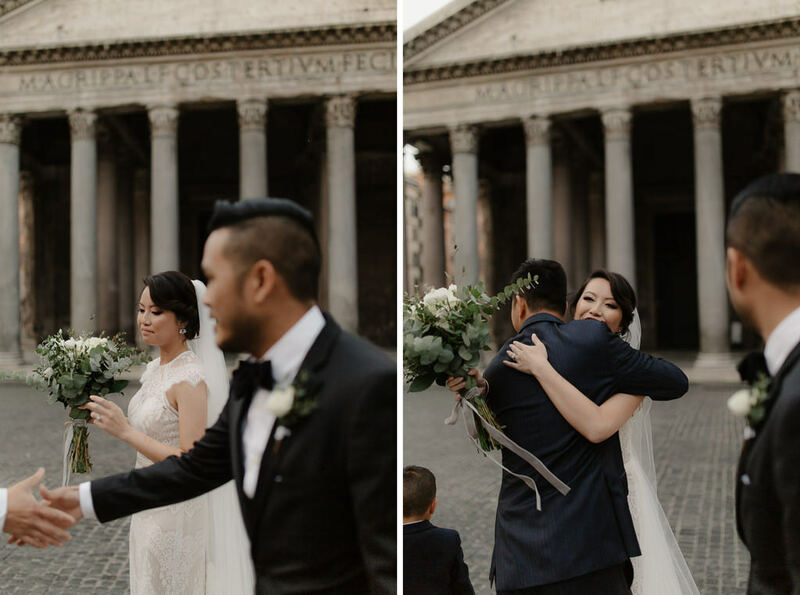 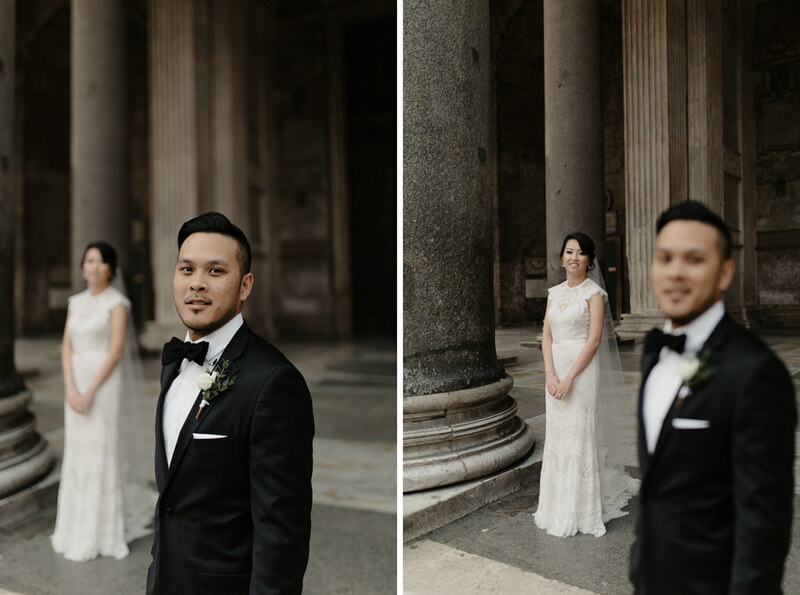 Ha & Andrew exchanged their vows in front of the ancient monumental temple while the city was still asleep and then weaved their way through the streets of Rome. 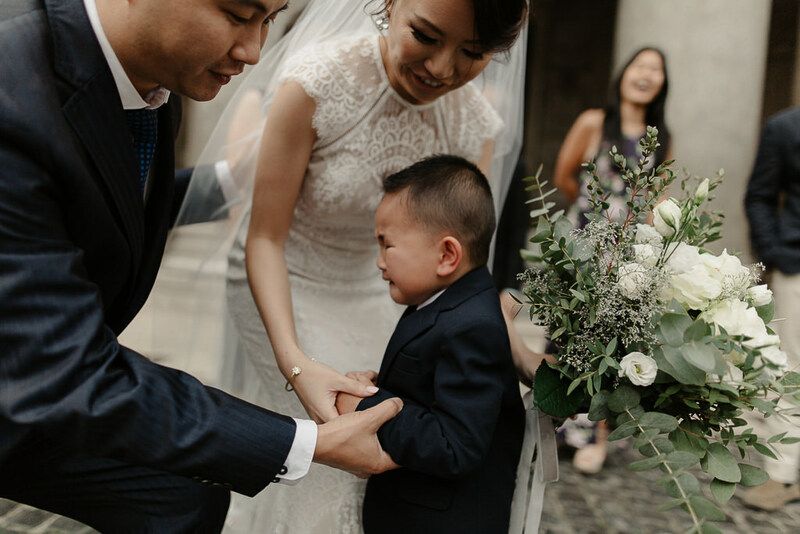 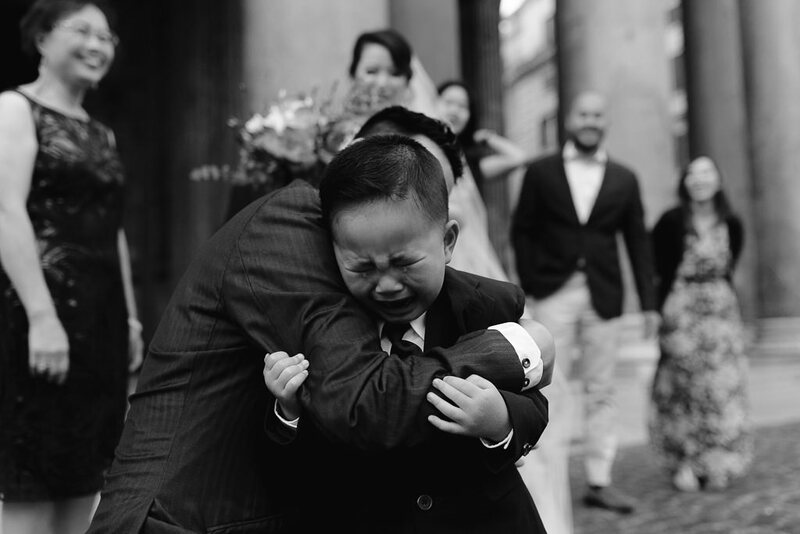 The ceremony was emotional and heartwarming even for the little guests. 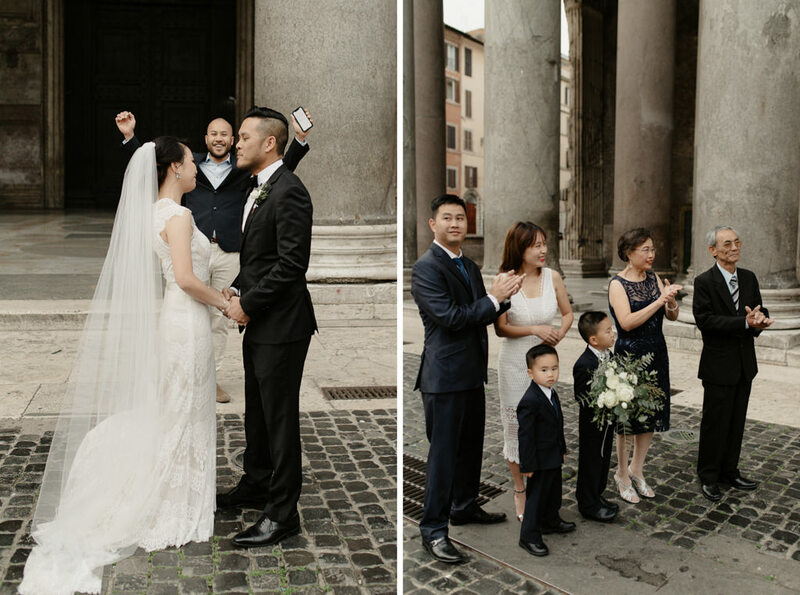 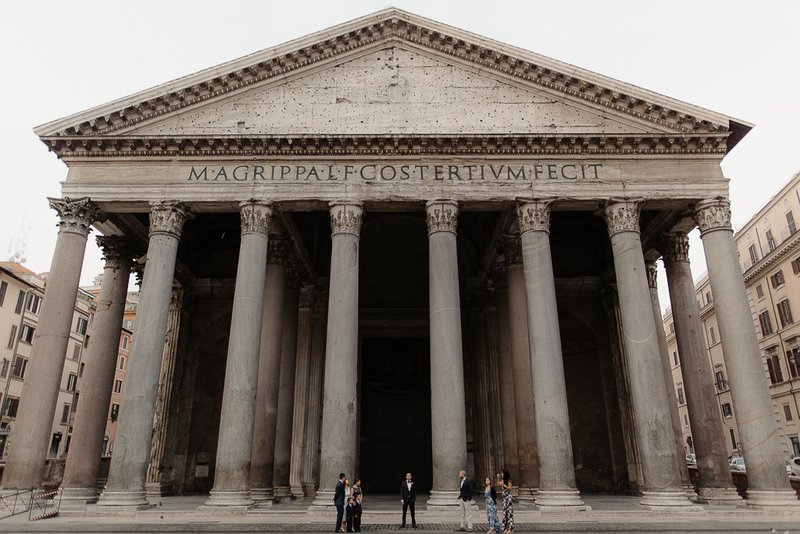 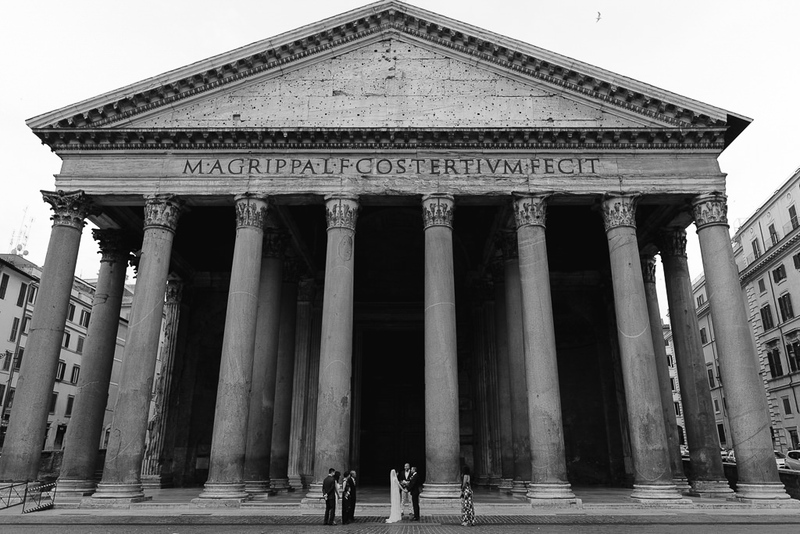 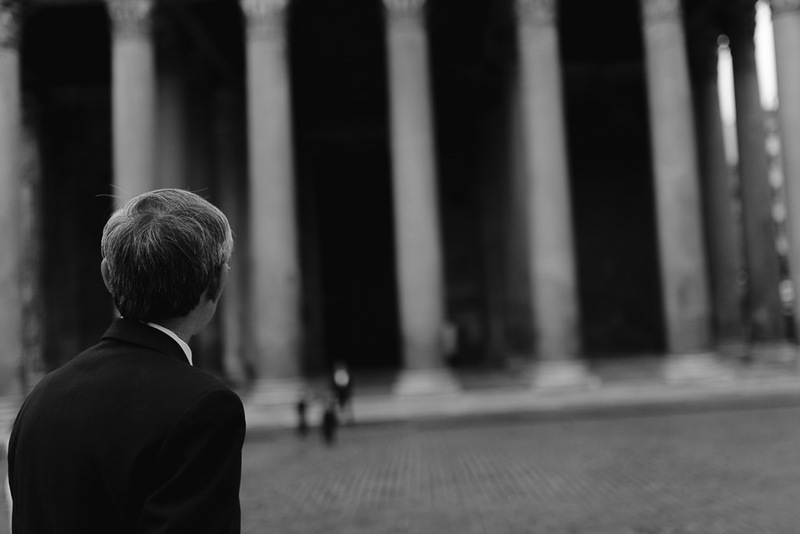 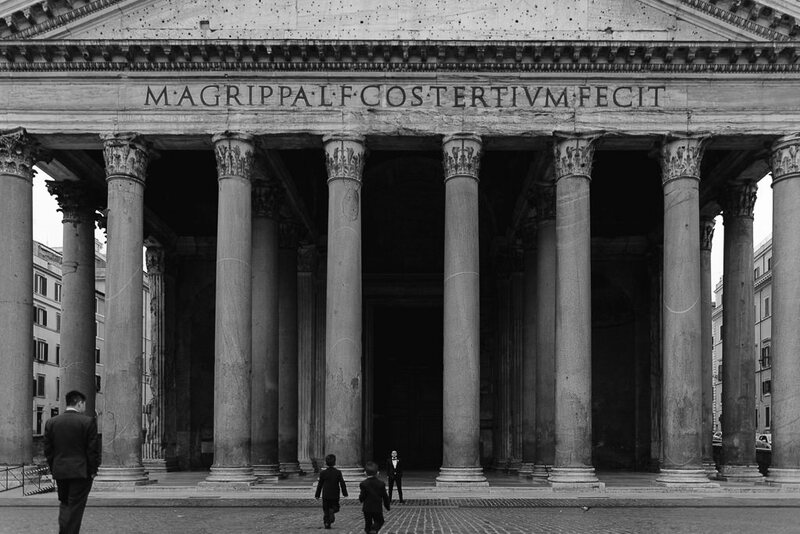 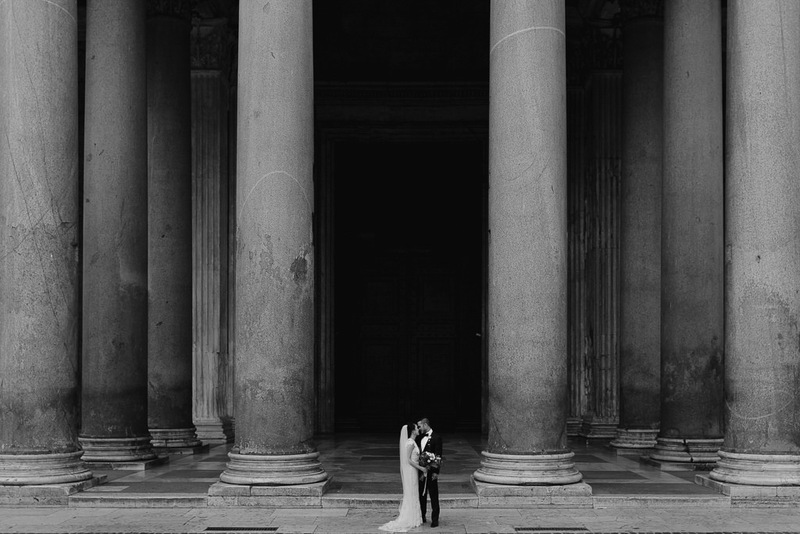 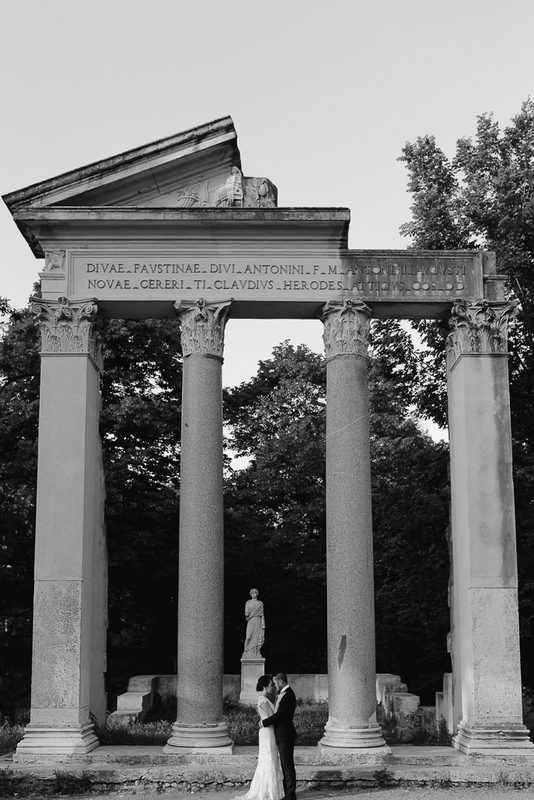 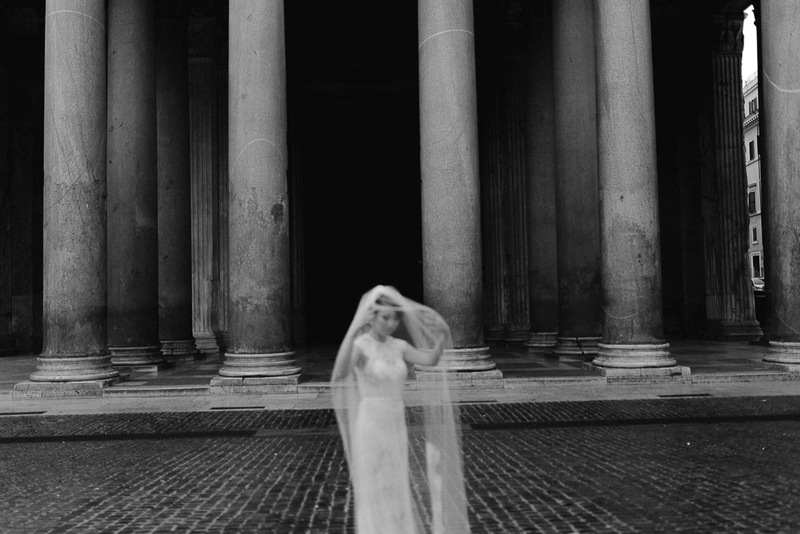 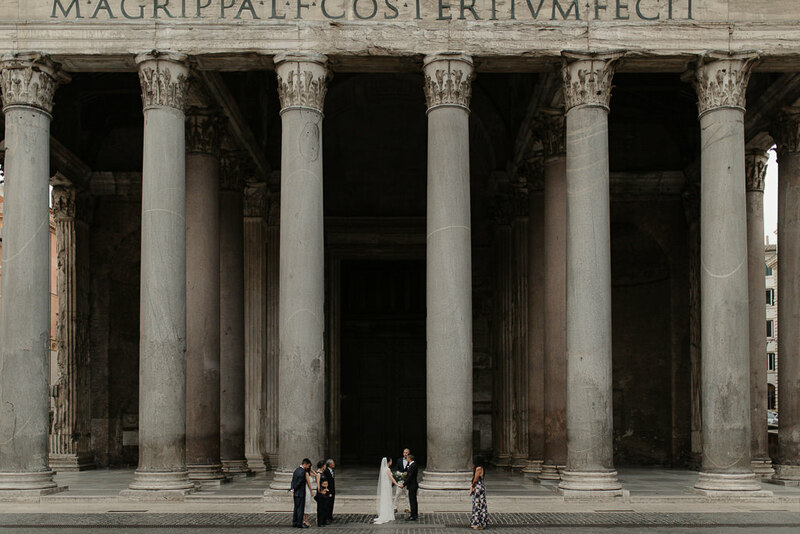 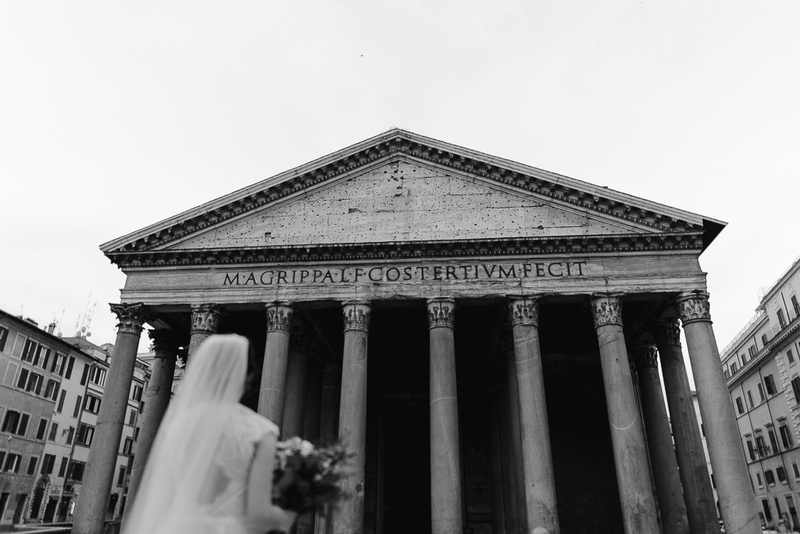 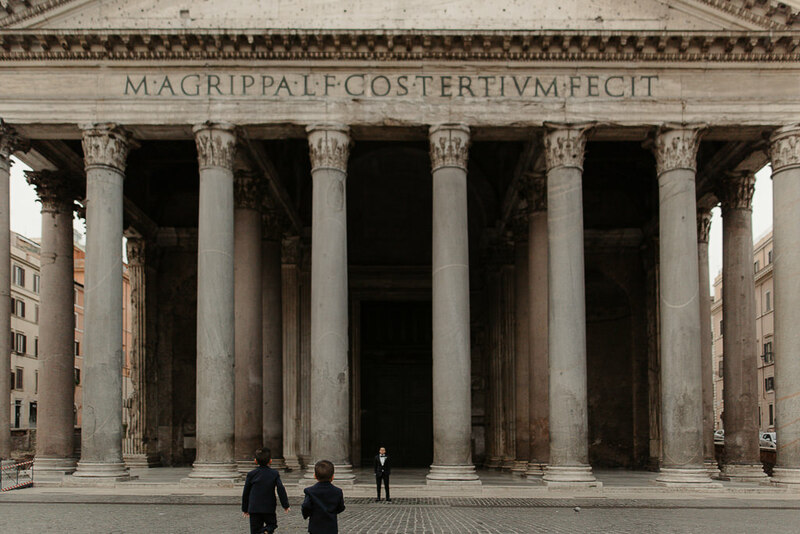 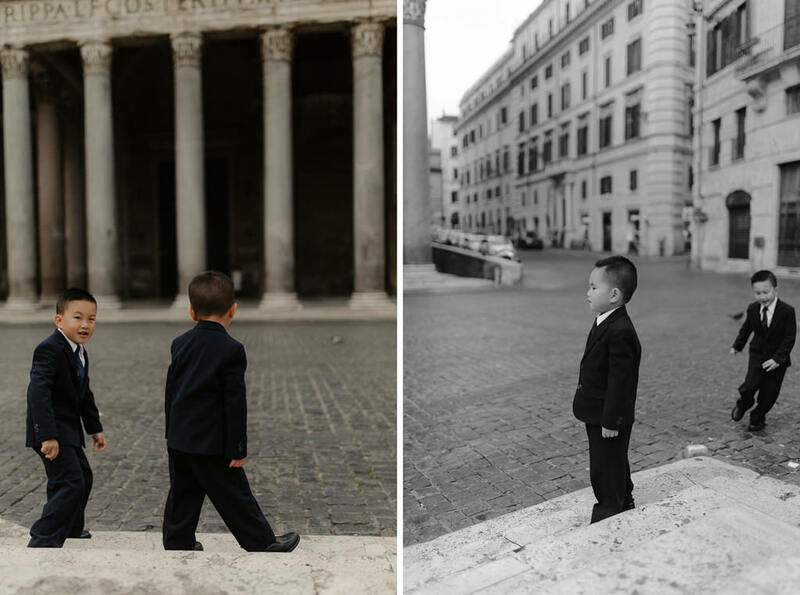 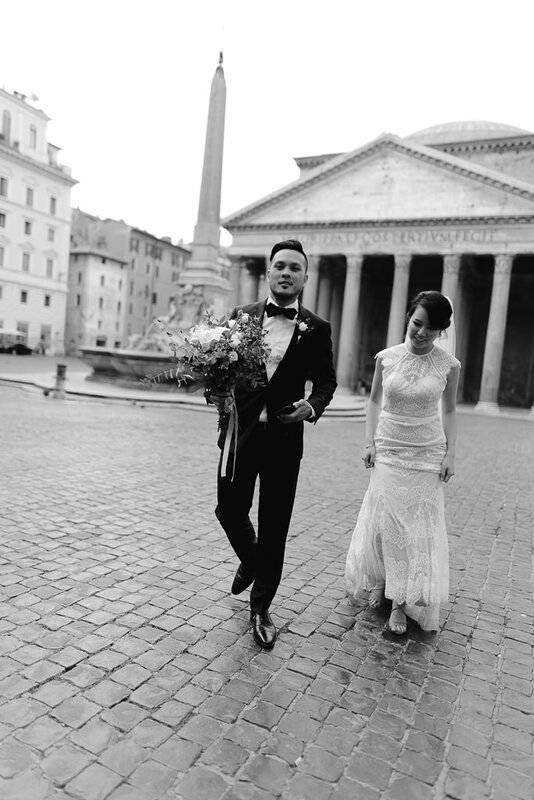 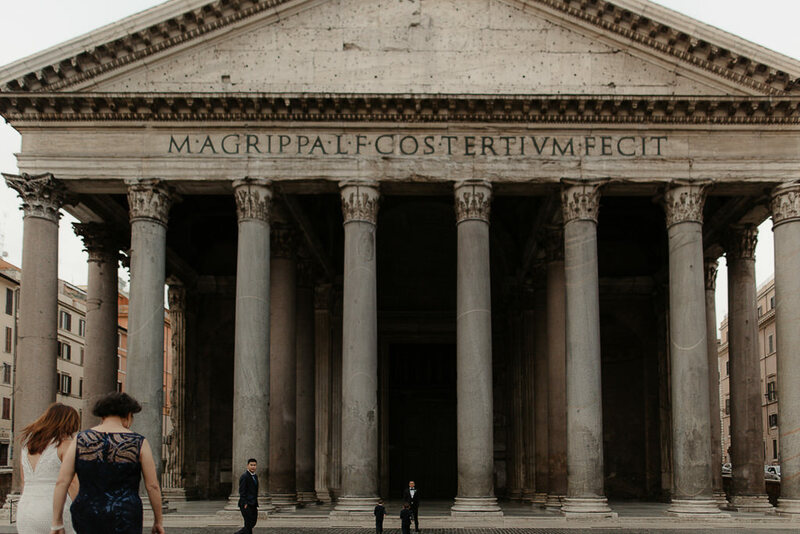 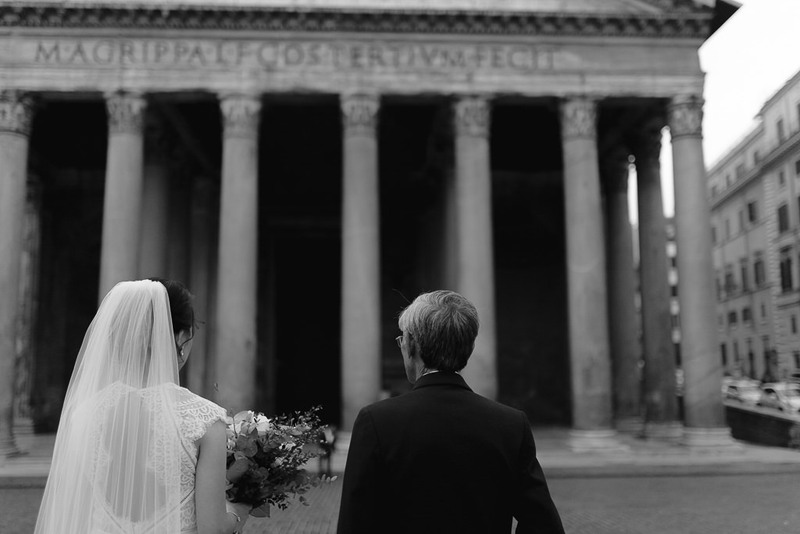 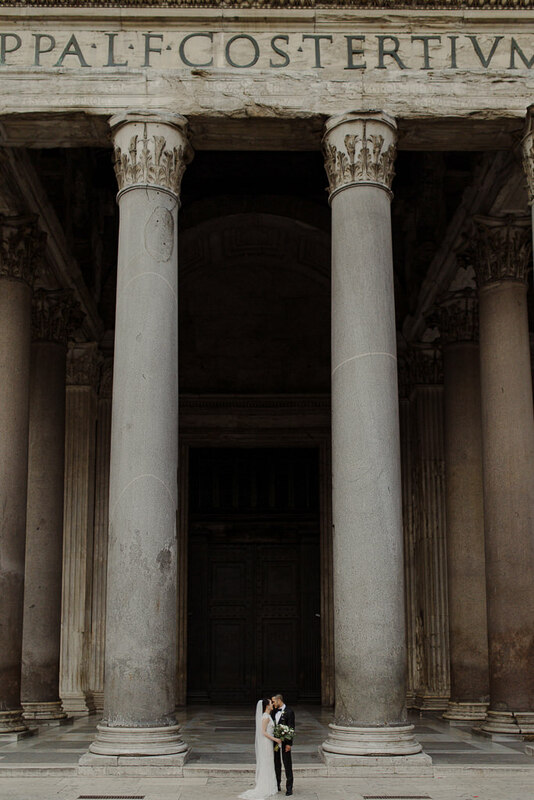 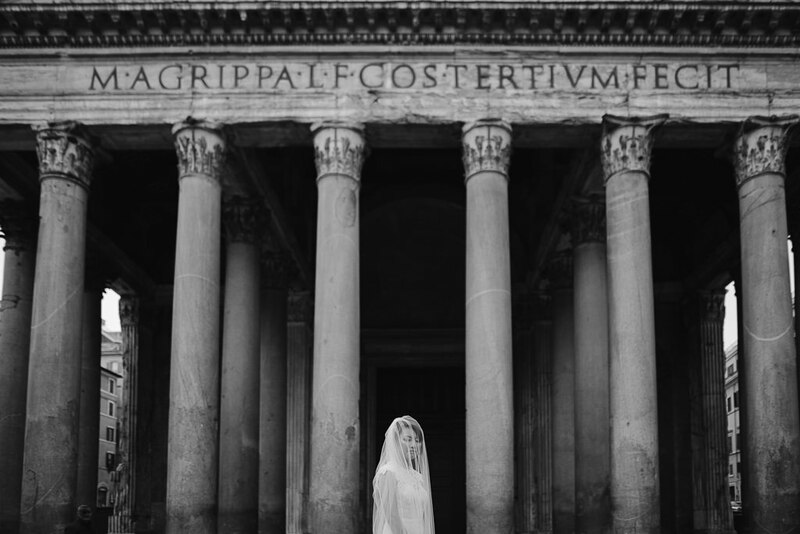 The setup was simple, Pantheon, empty streets of Rome and their friends & family for this special day.